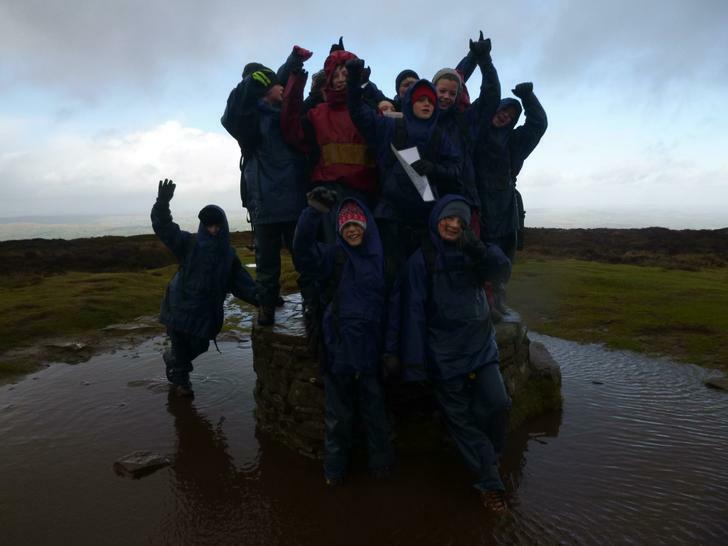 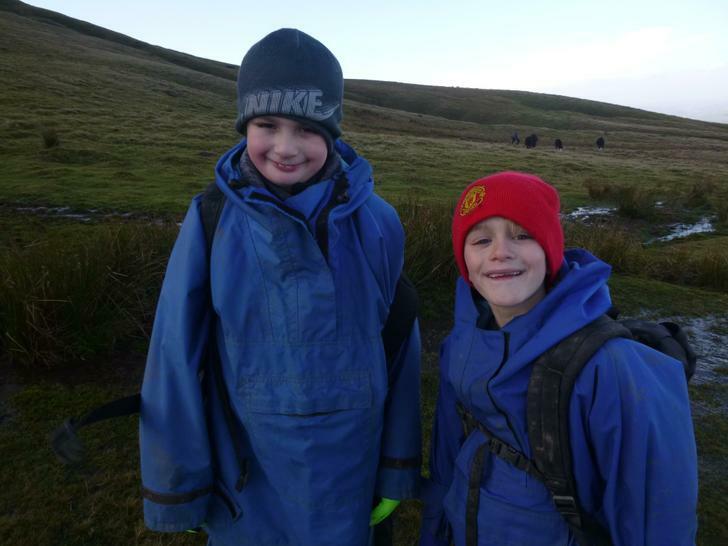 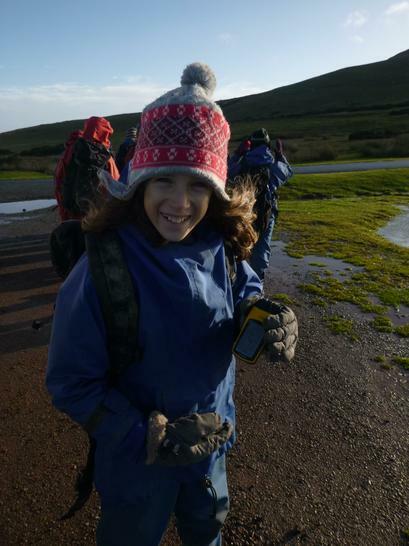 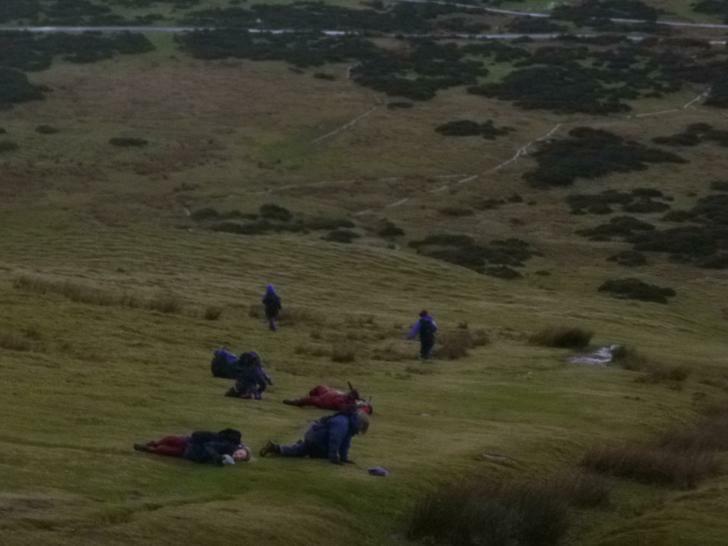 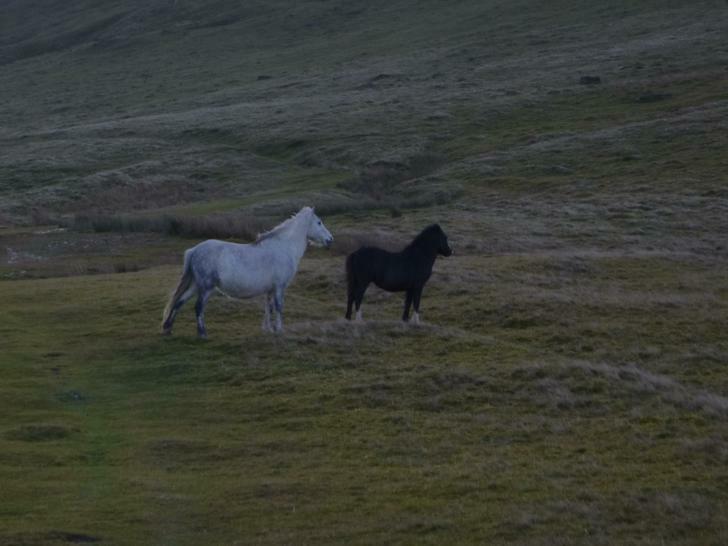 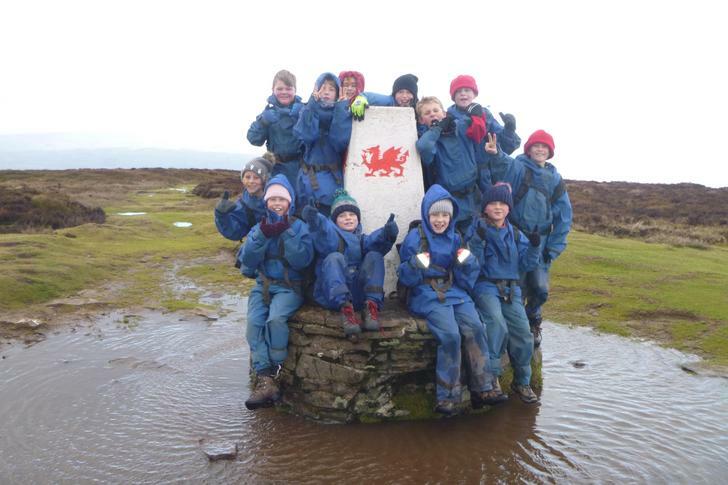 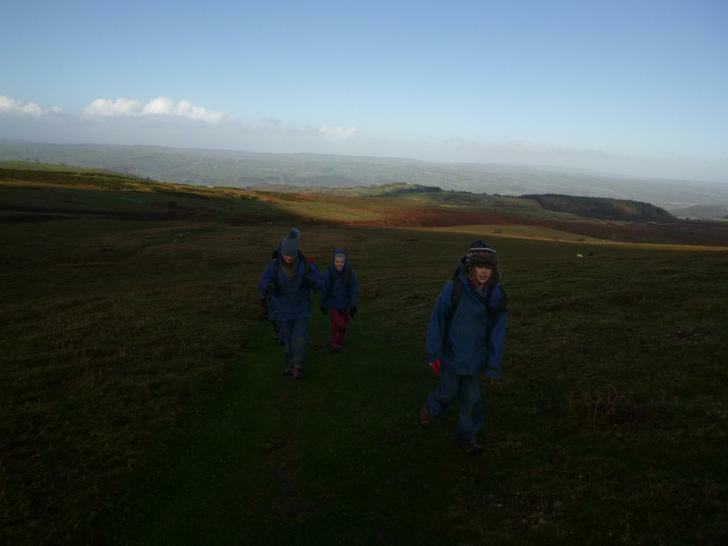 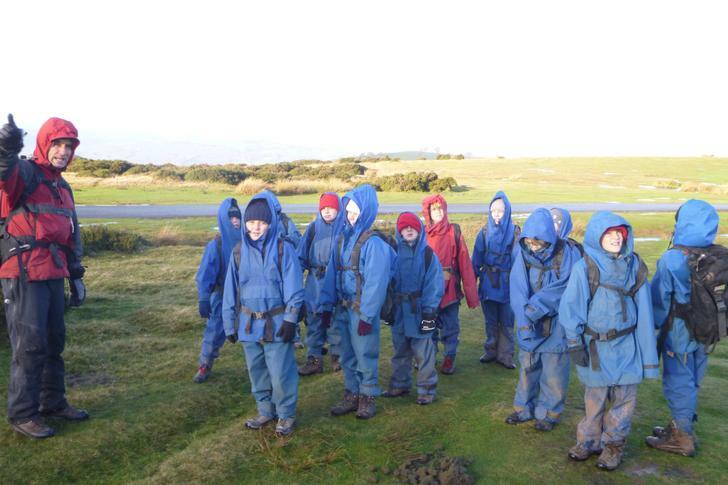 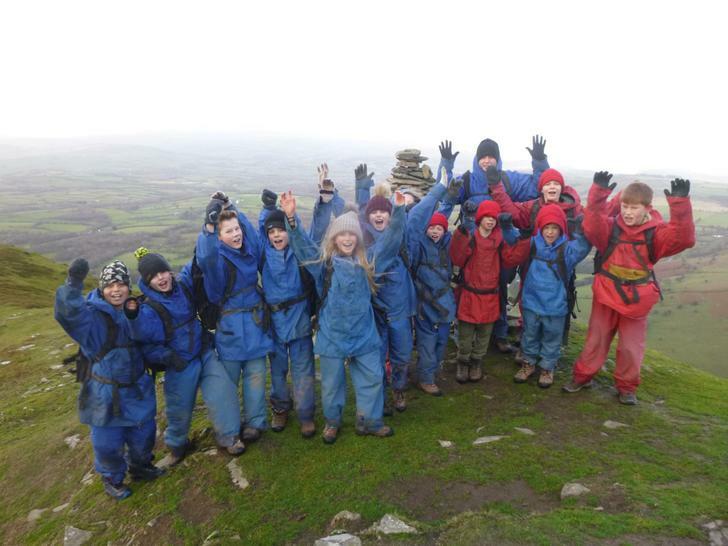 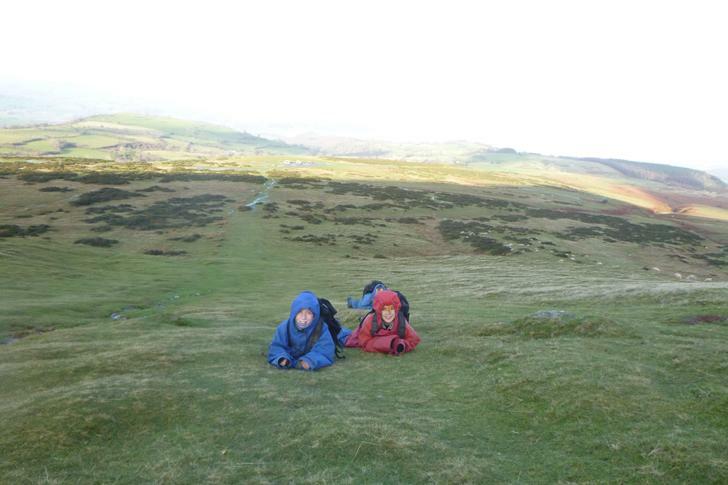 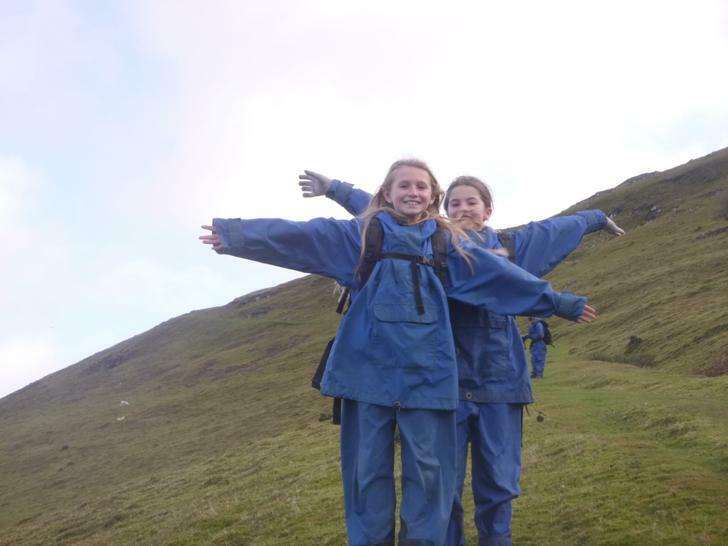 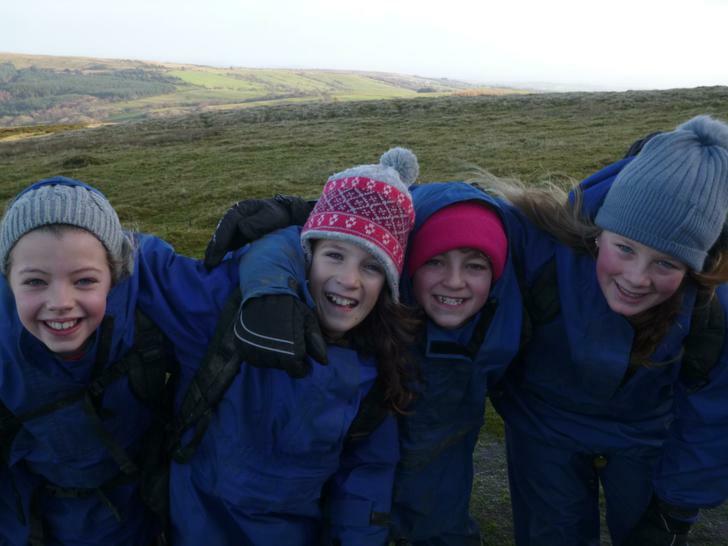 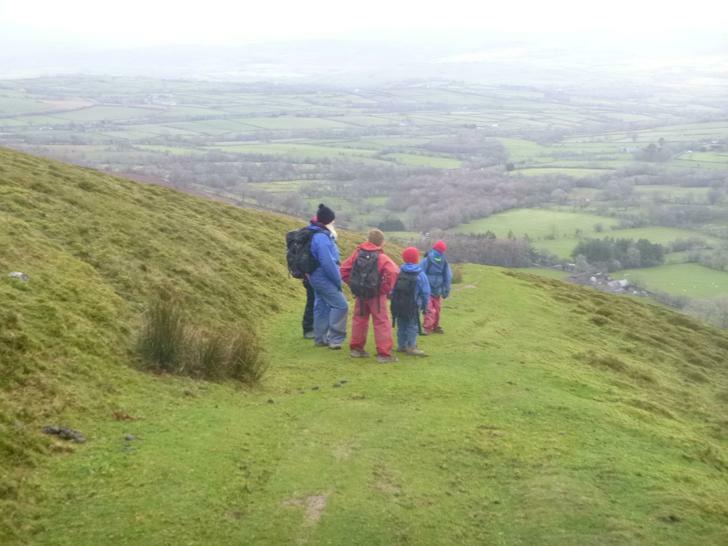 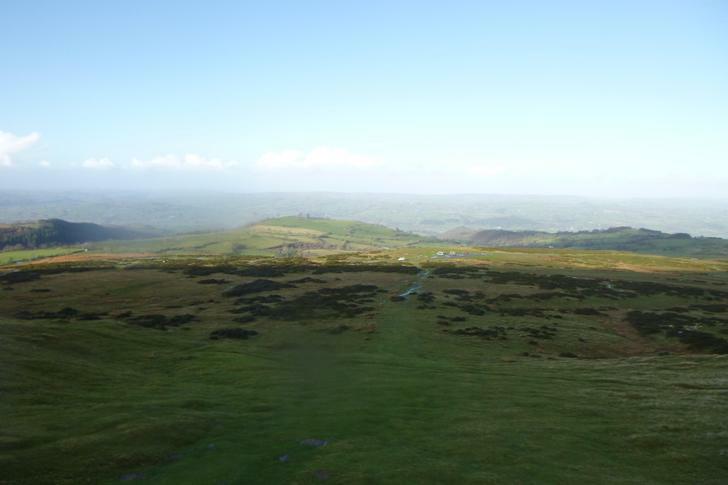 FINAL DAY: Group 3 also climbed to the summit of Hay Bluff. 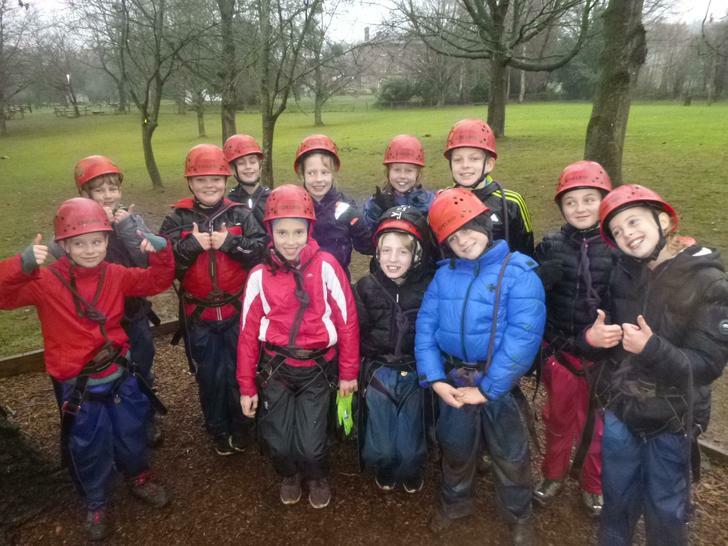 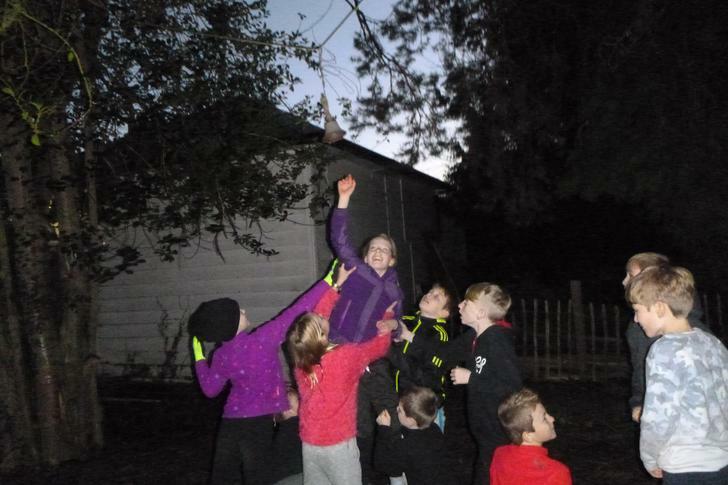 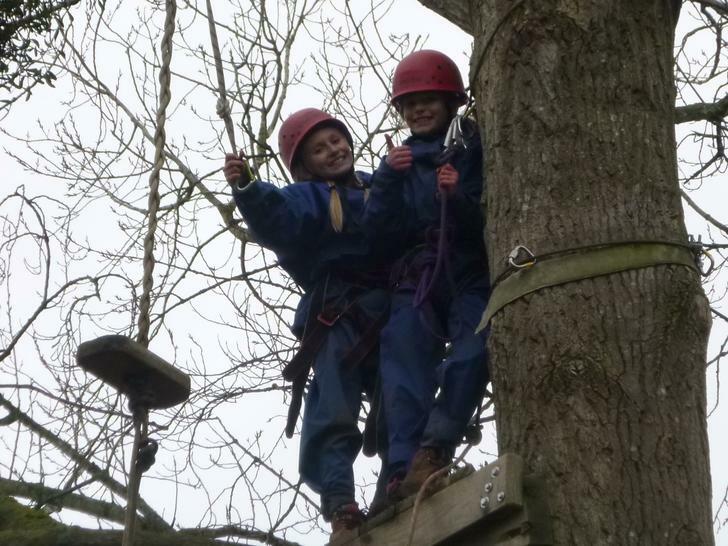 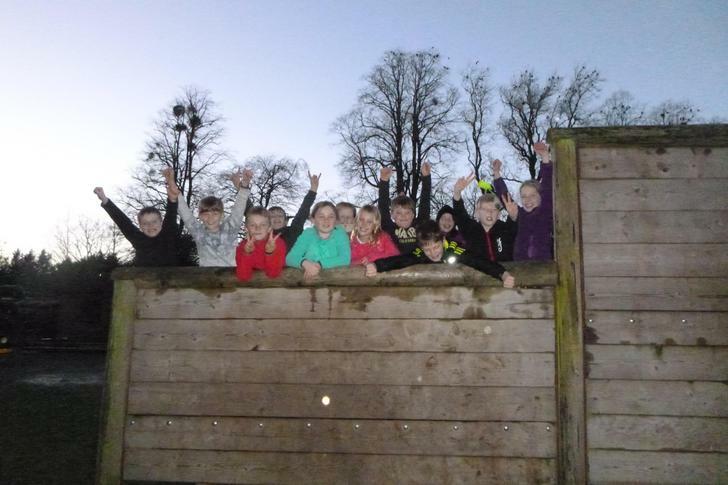 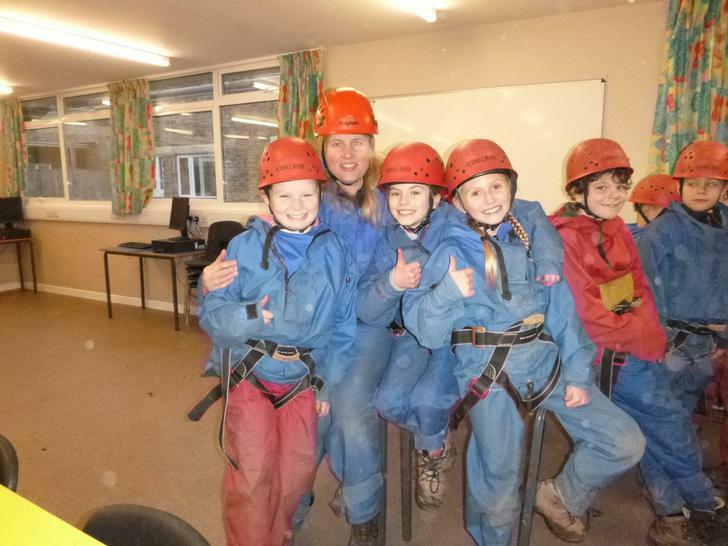 Mrs Lench was very proud of this group's determination and willingness to try new things by the end of the week. 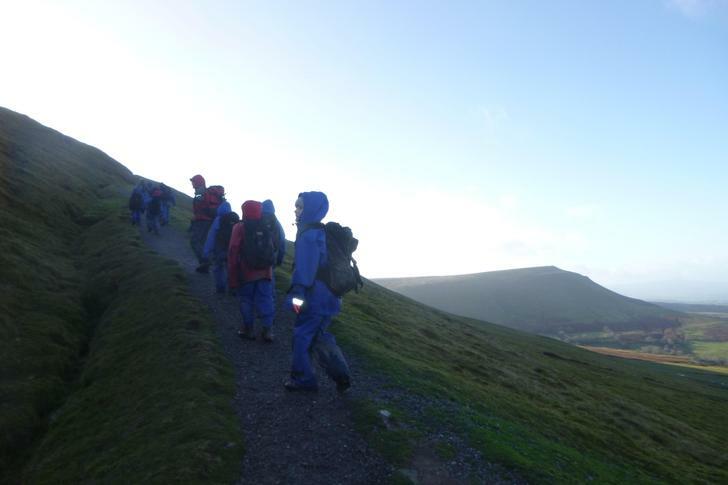 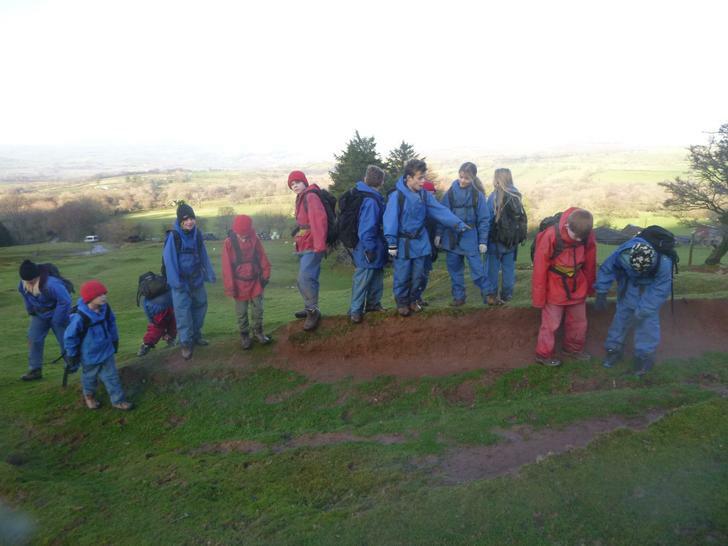 FINAL DAY: Group 2 climbing 'Hay Bluff'. 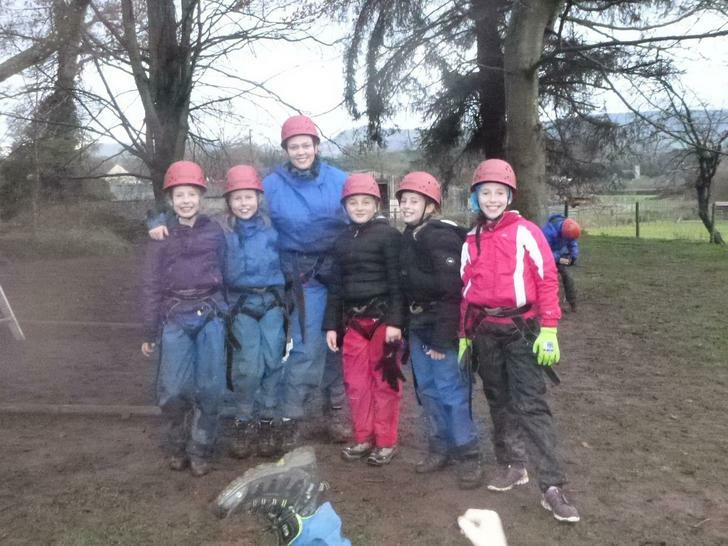 Miss Hustler really enjoyed working with this group all week and has seen a huge improvement in their resilience, courage and teamwork. 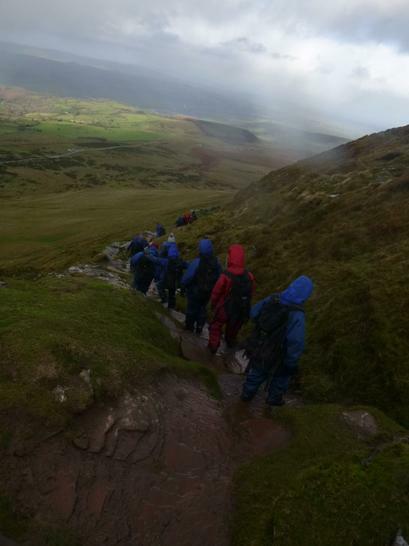 FINAL DAY: Group 1 on their mountain walk. 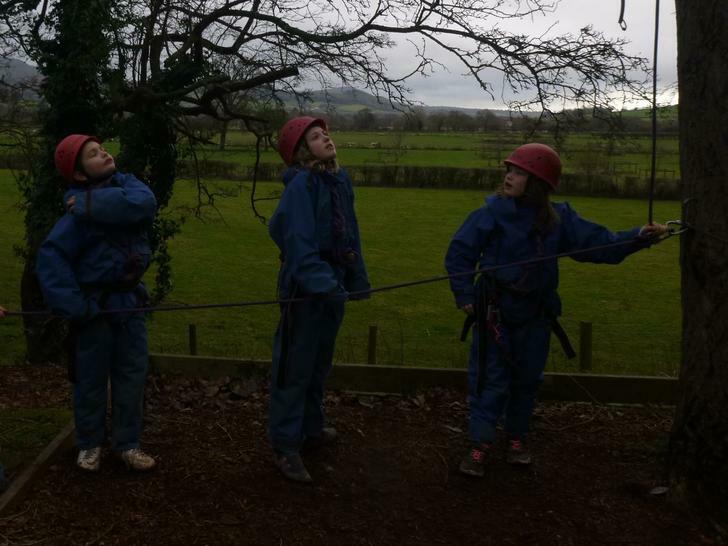 Mrs McCarthy had a brilliant week working with these pupils; seeing them stretch and challenge themselves. 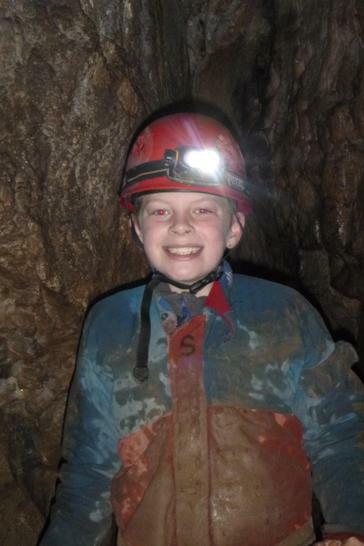 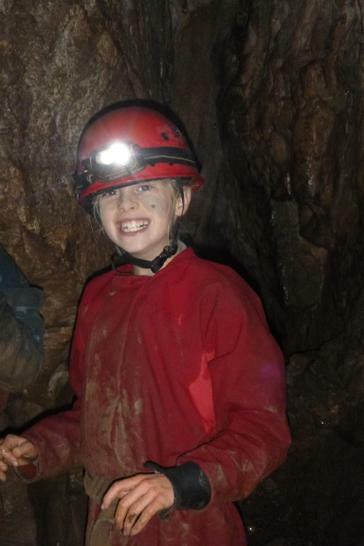 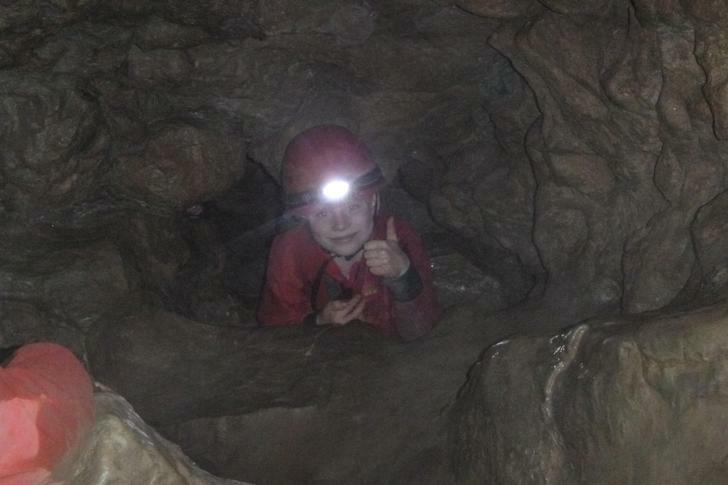 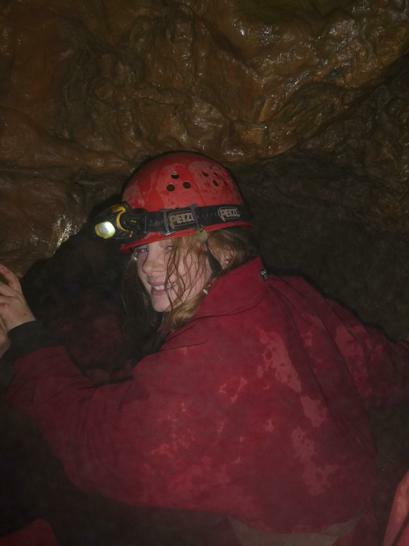 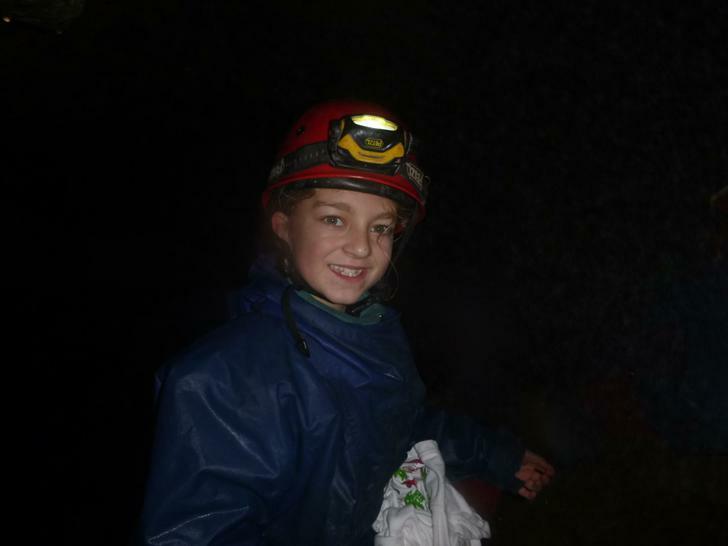 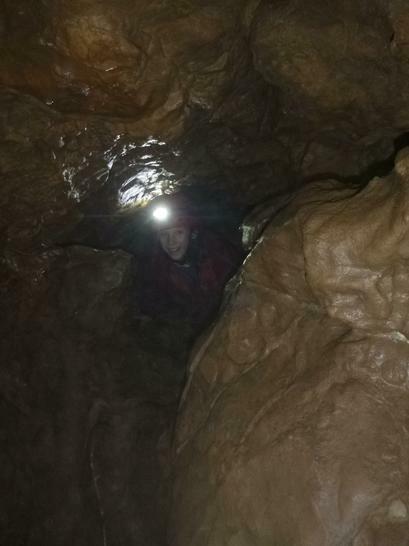 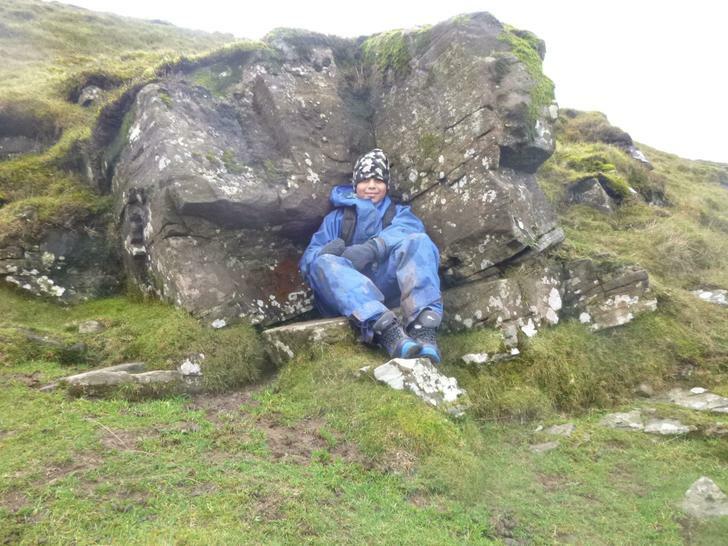 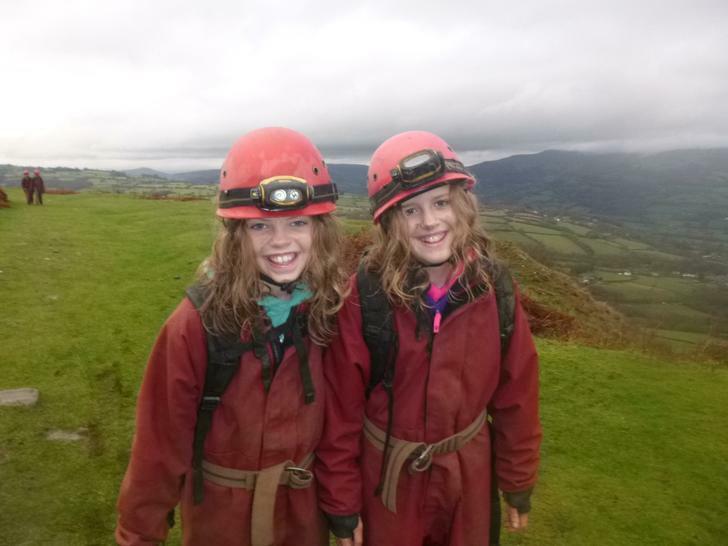 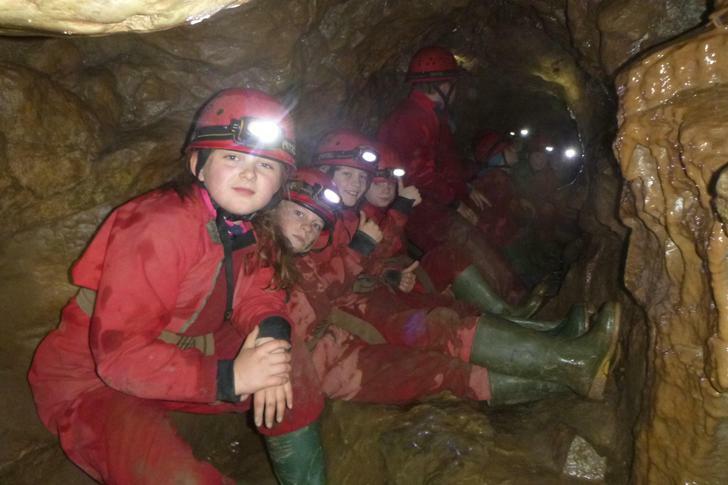 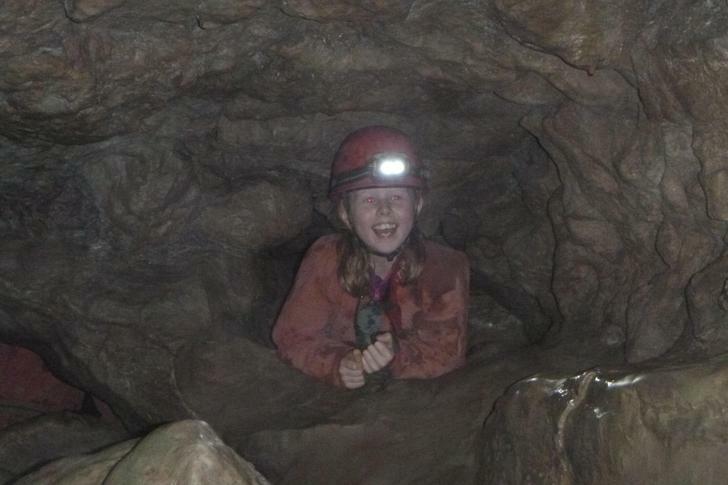 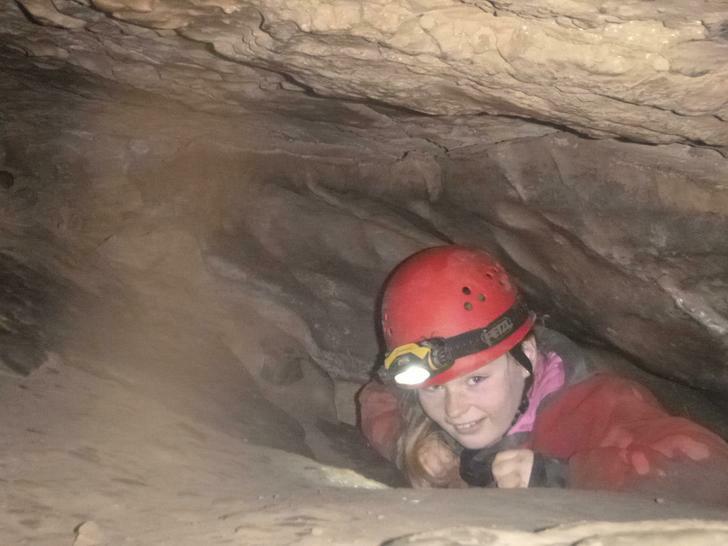 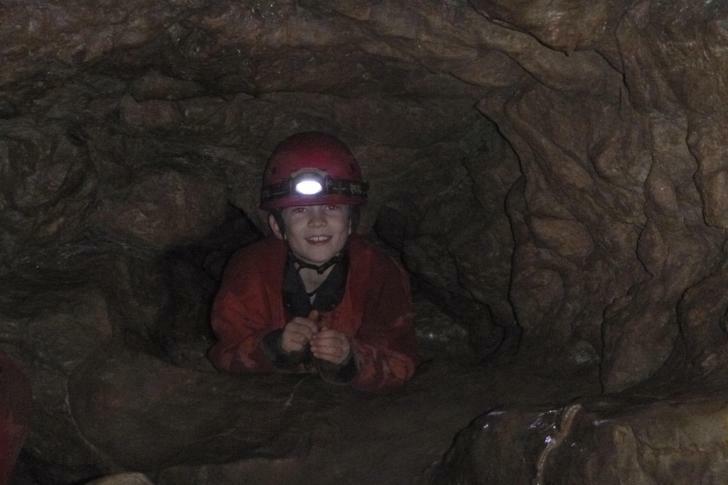 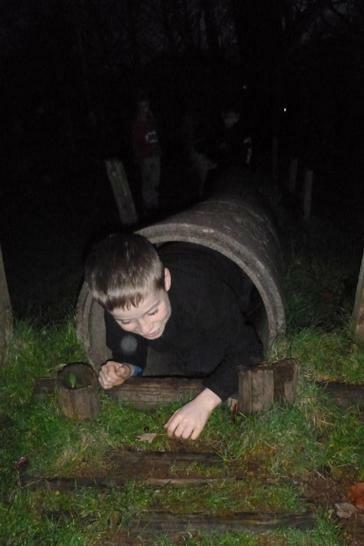 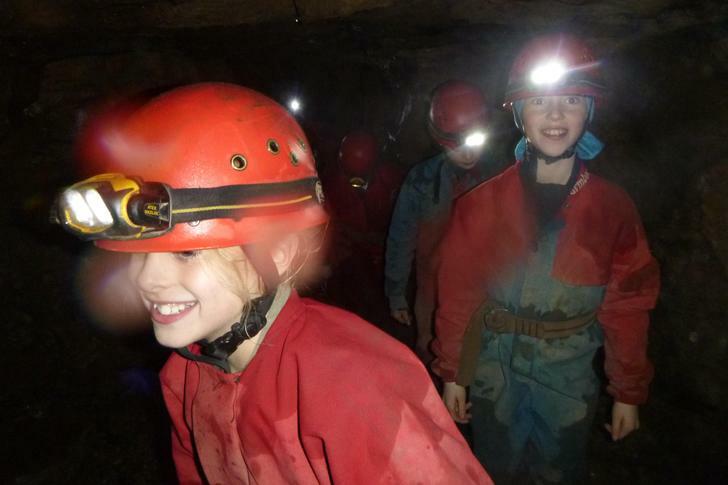 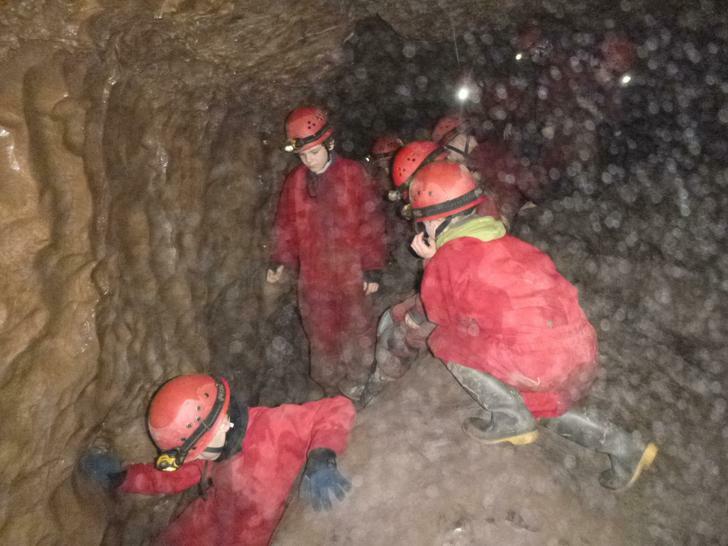 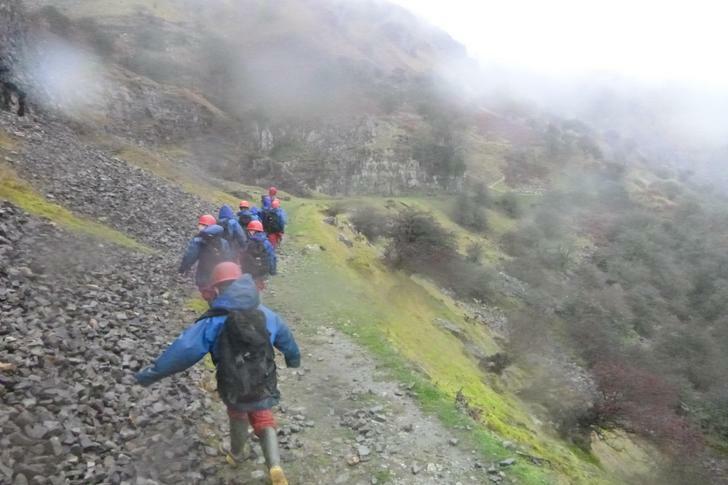 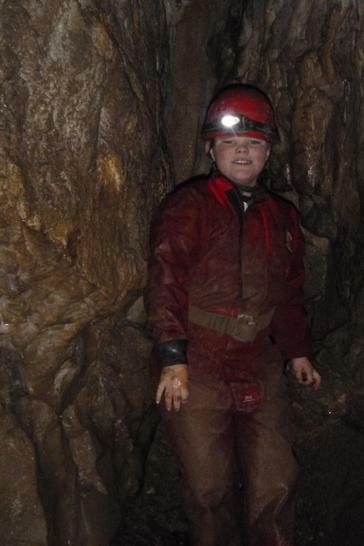 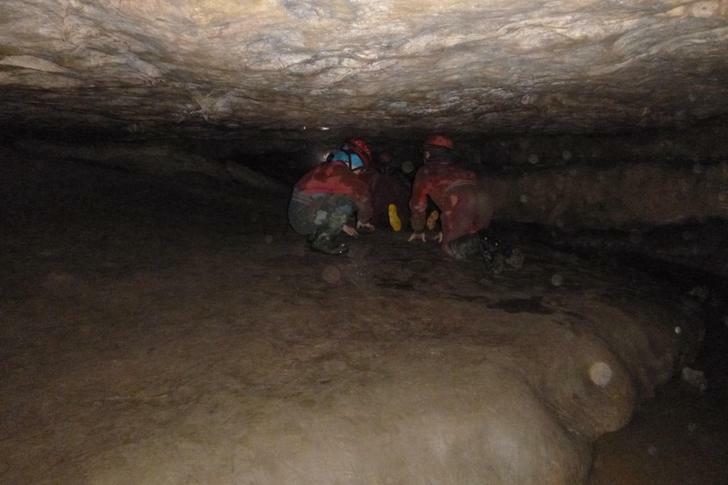 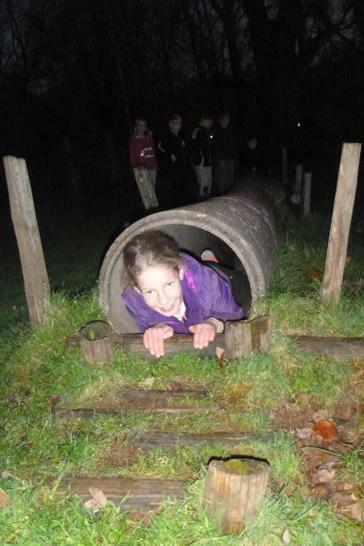 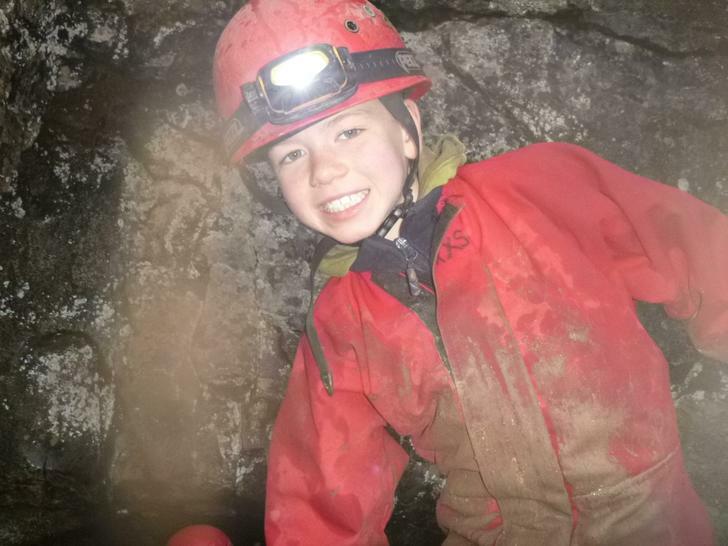 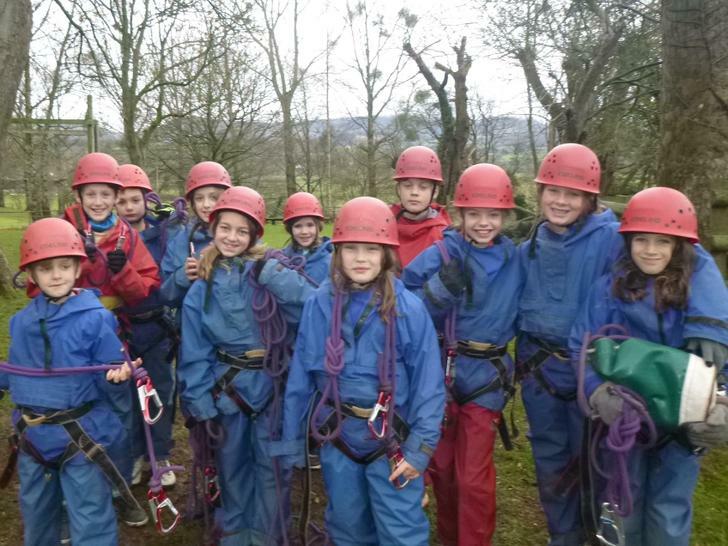 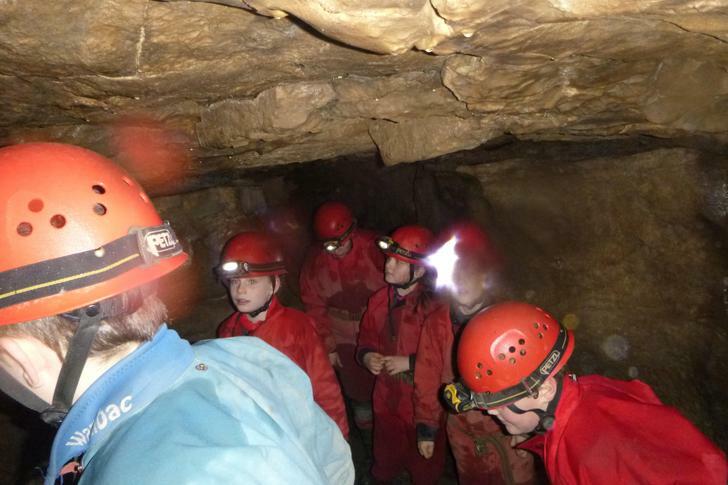 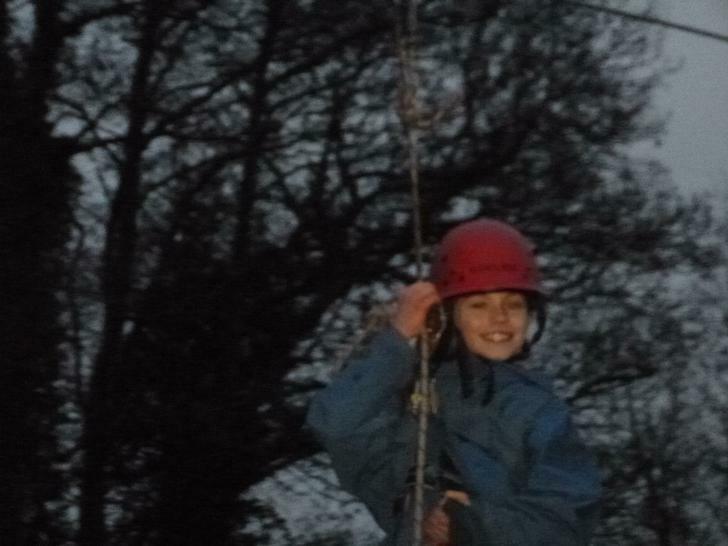 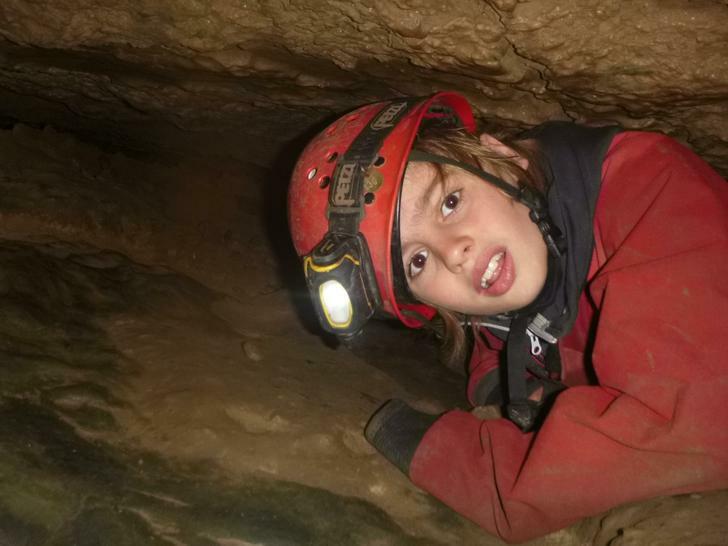 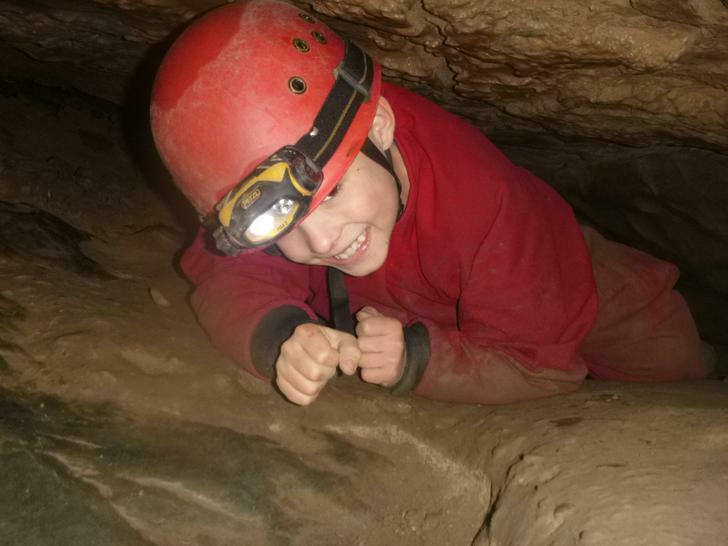 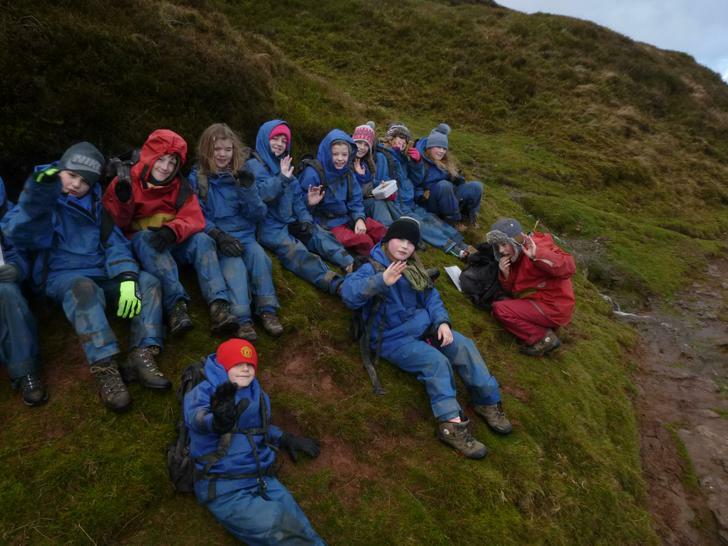 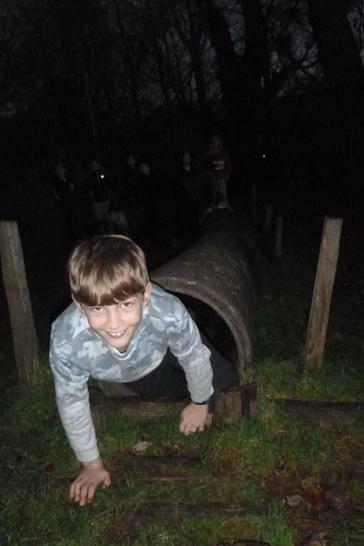 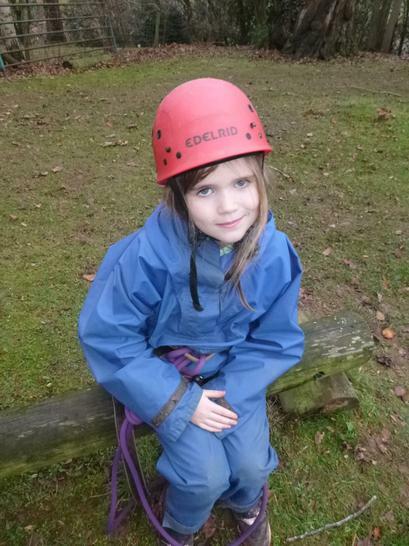 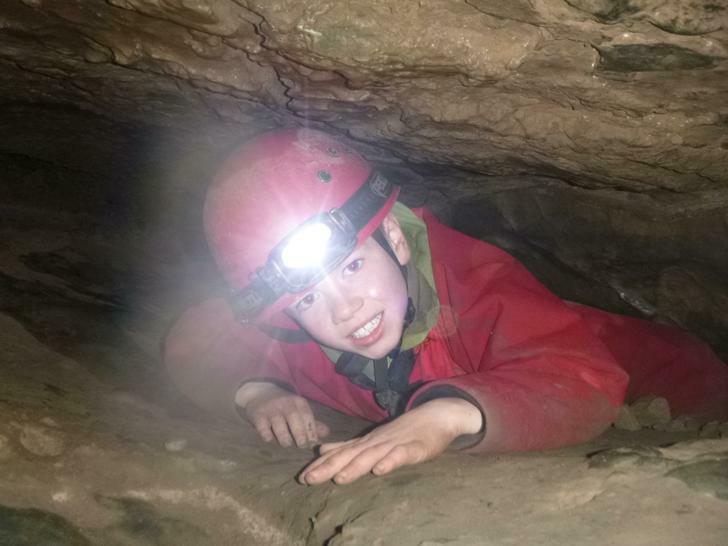 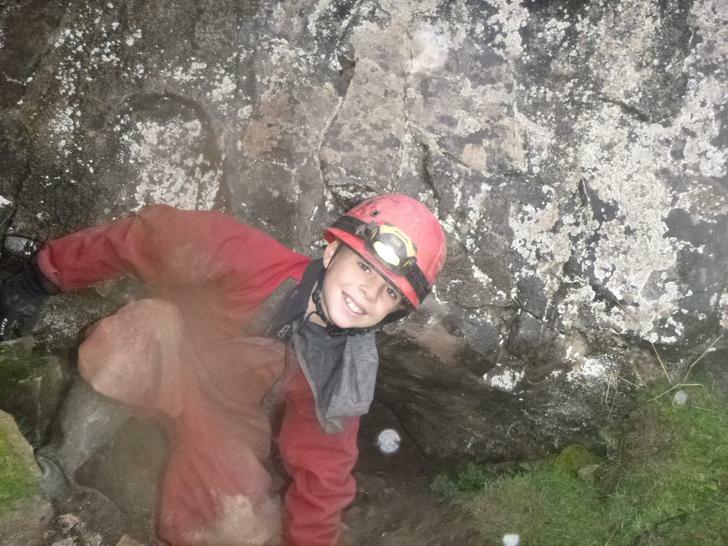 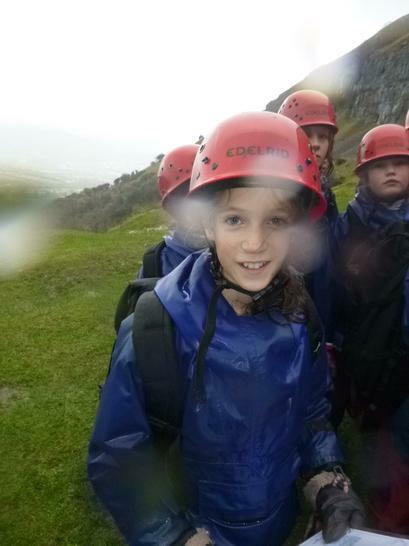 DAY 4: Group 2 All children showed amazing bravery and resilience caving! 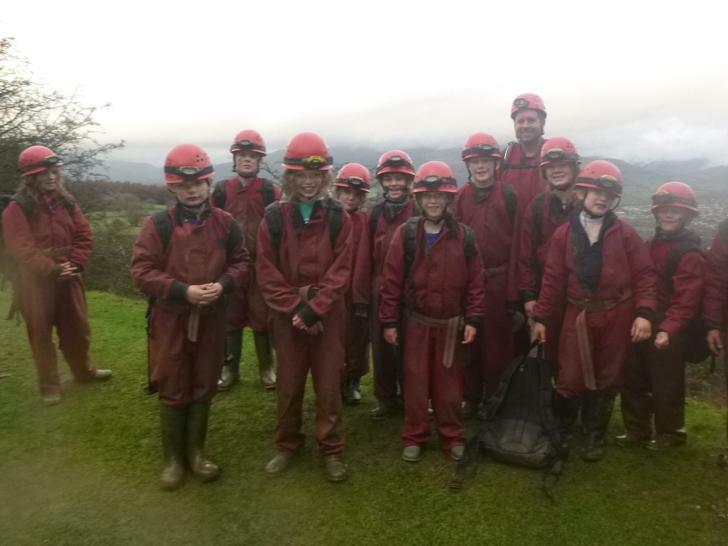 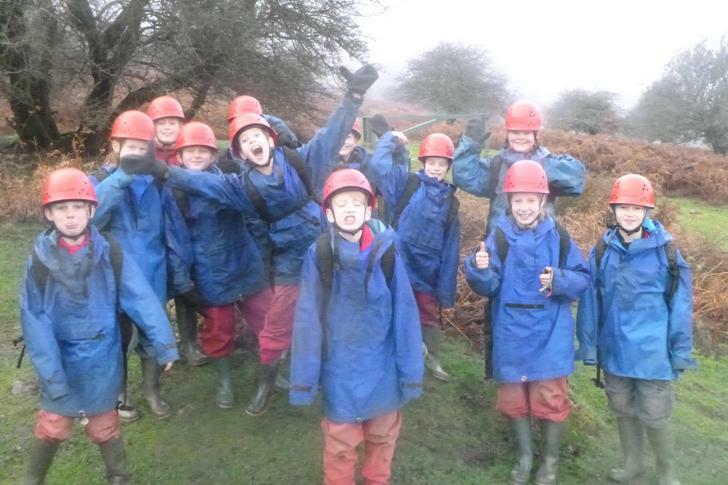 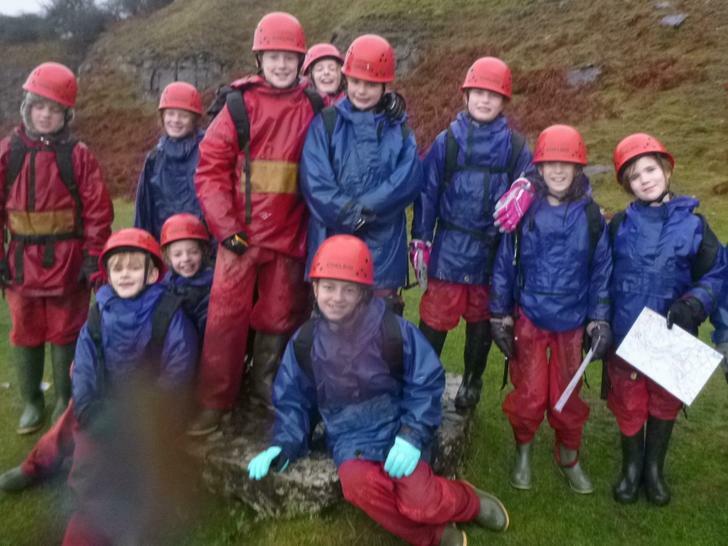 DAY 4: Group 1 A successful day caving for all! 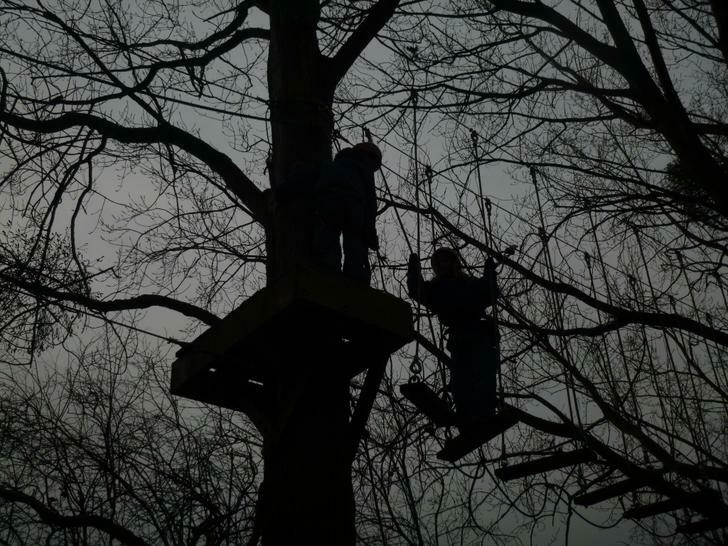 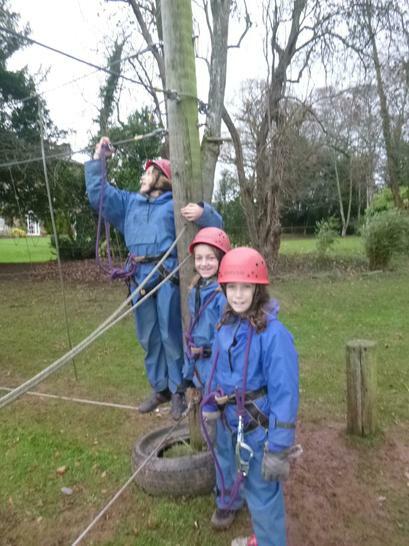 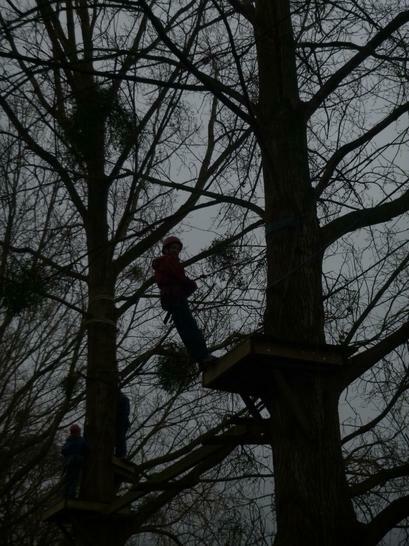 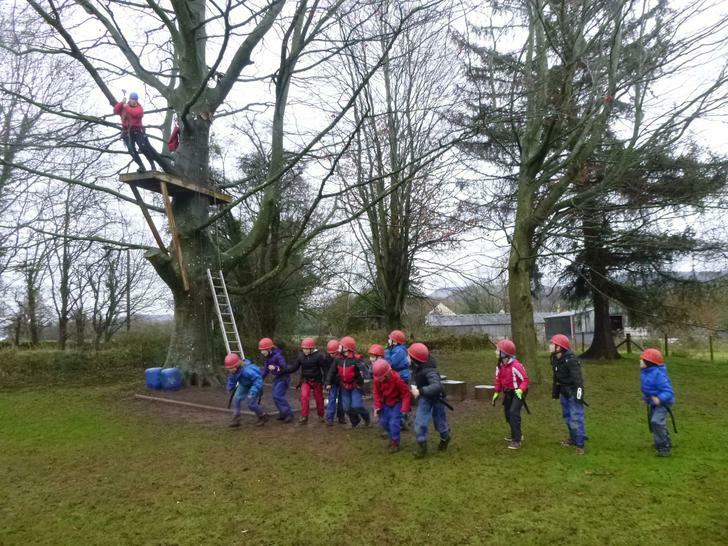 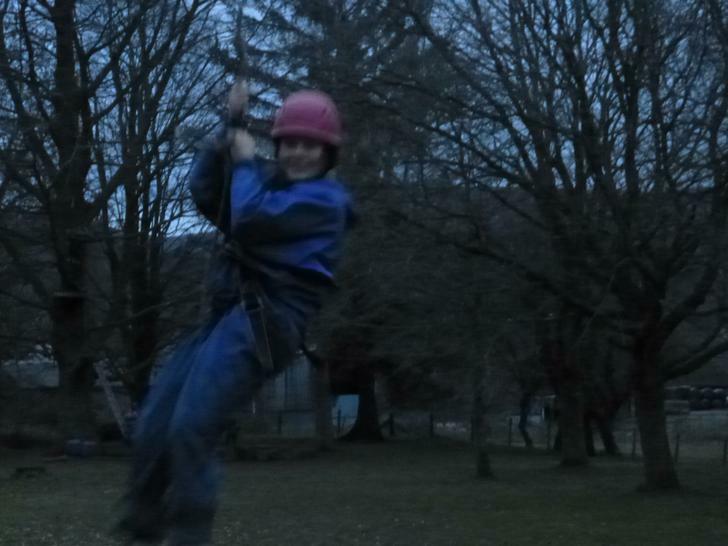 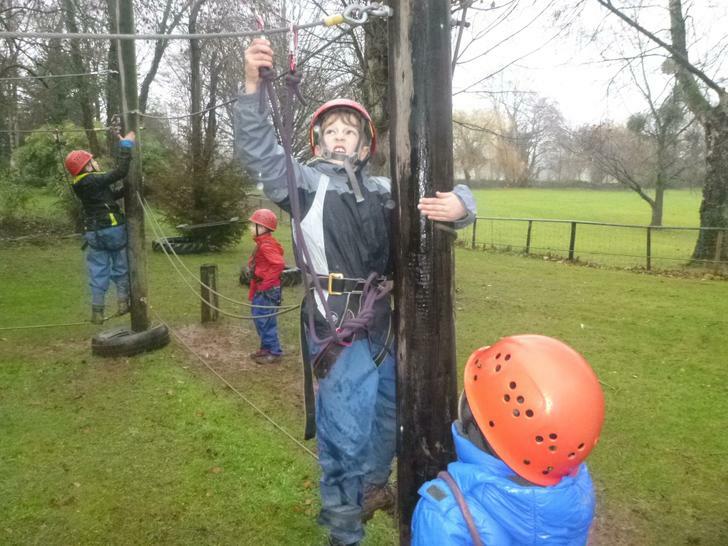 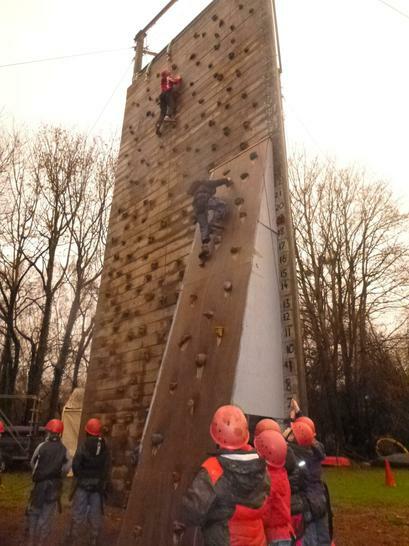 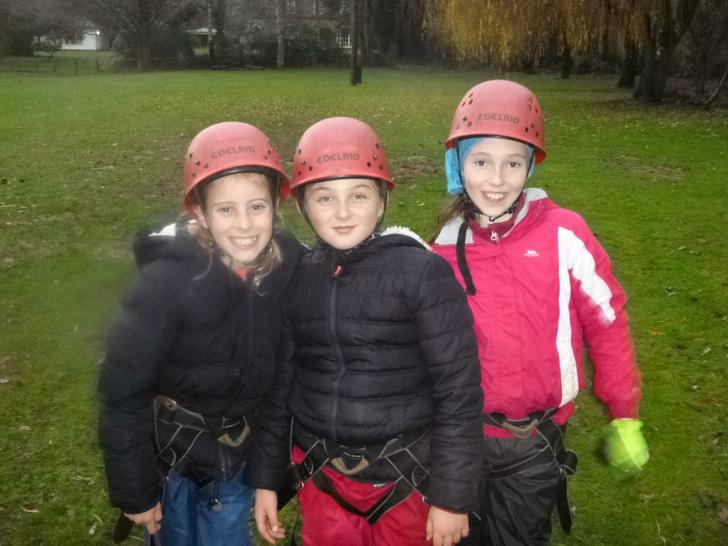 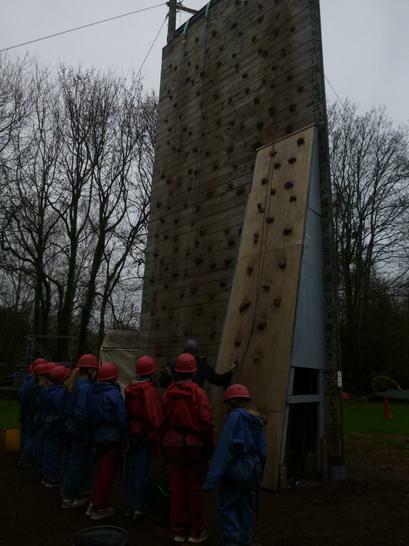 DAY 3: Group 2 showing fantastic teamwork and cooperation skills on the high ropes, zip wire and climbing wall. 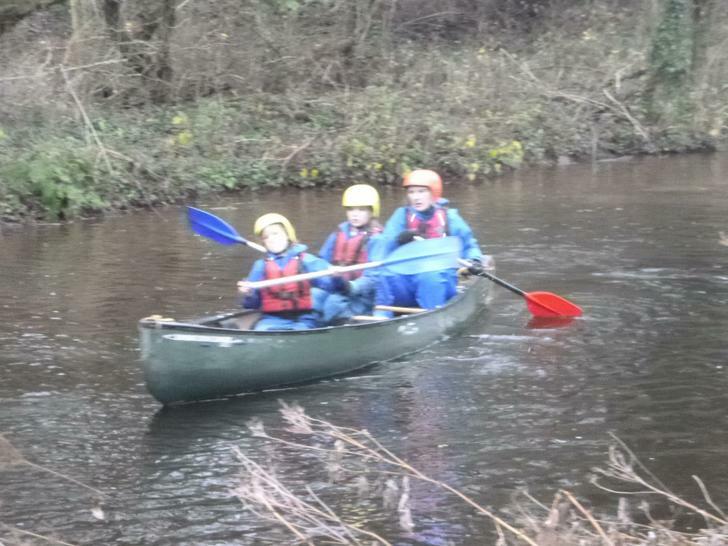 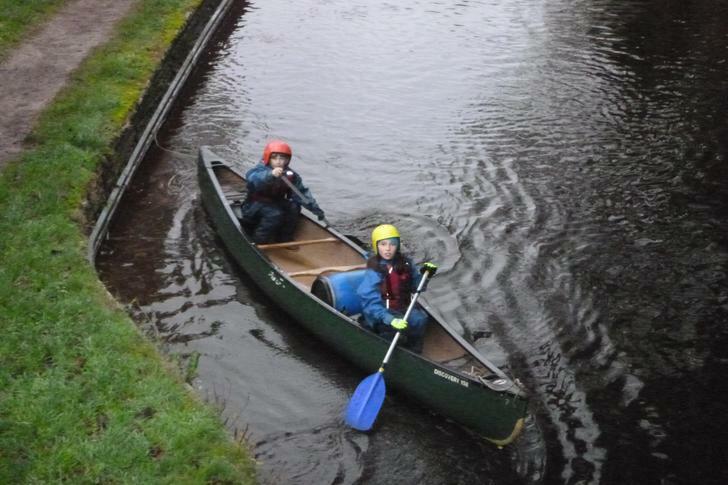 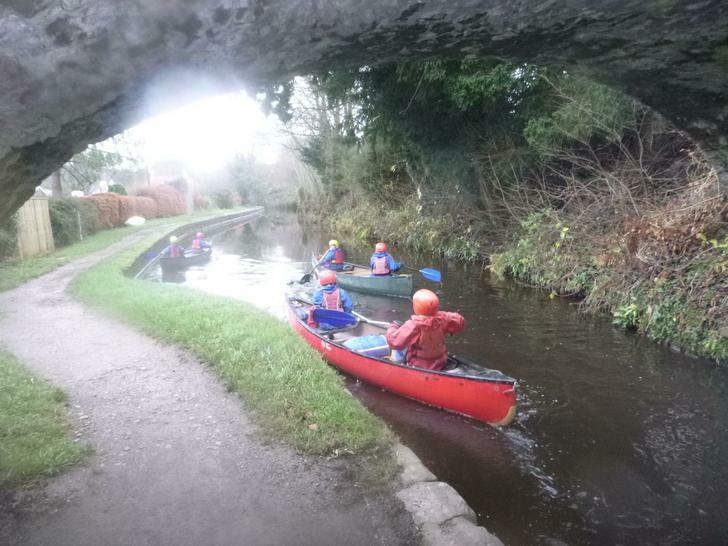 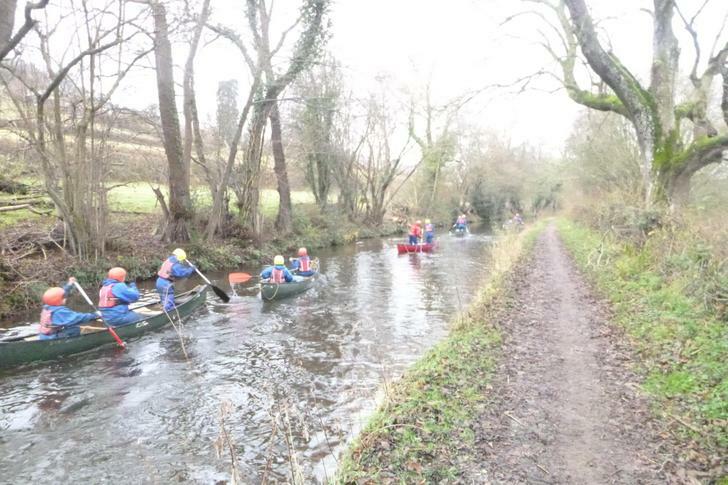 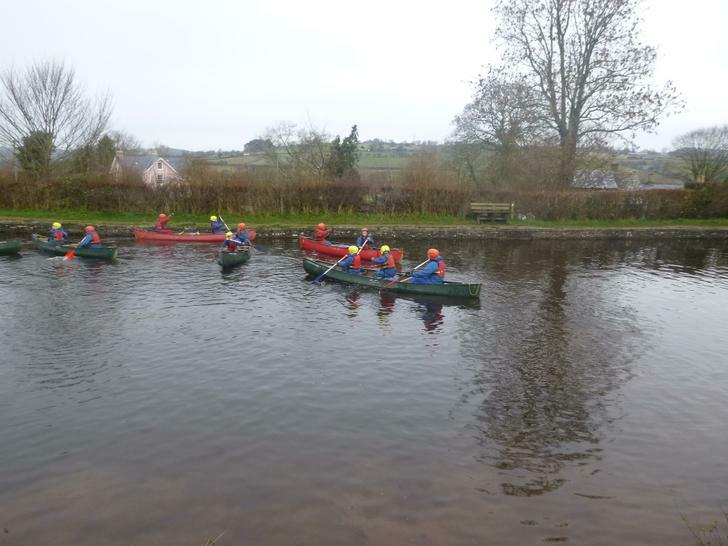 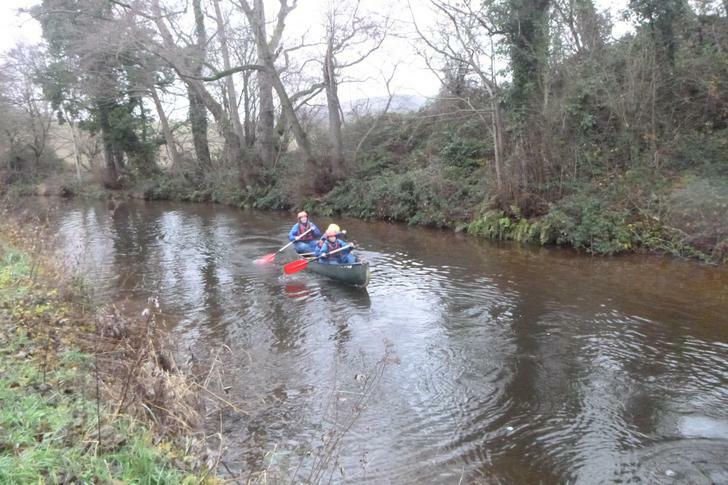 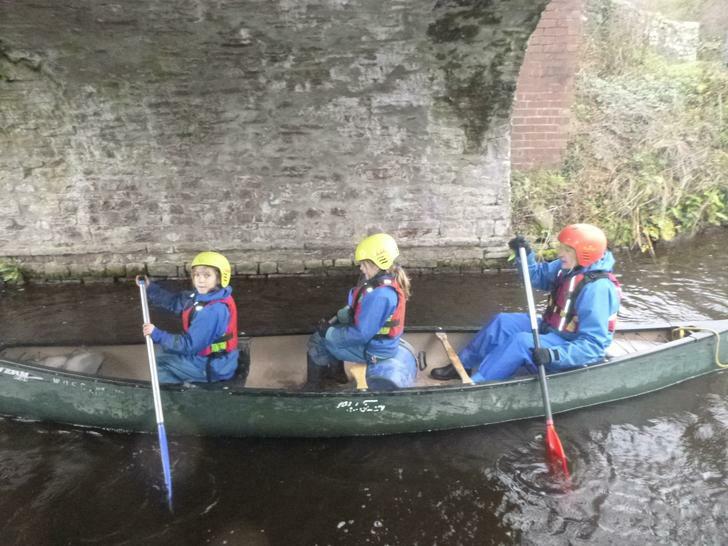 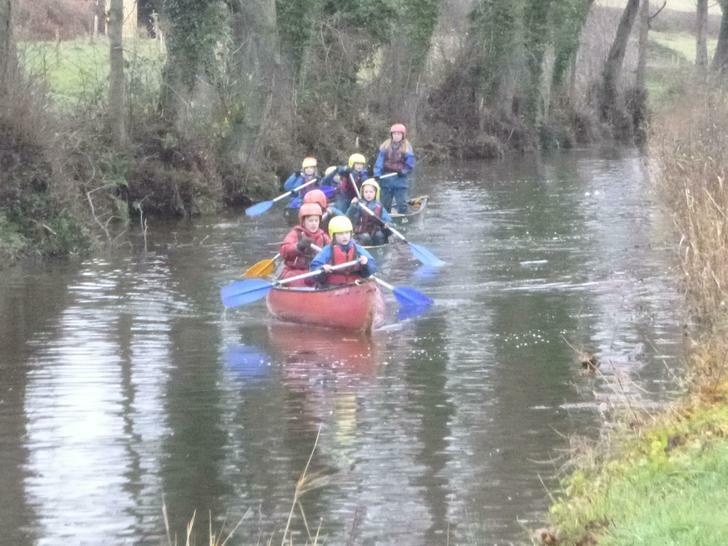 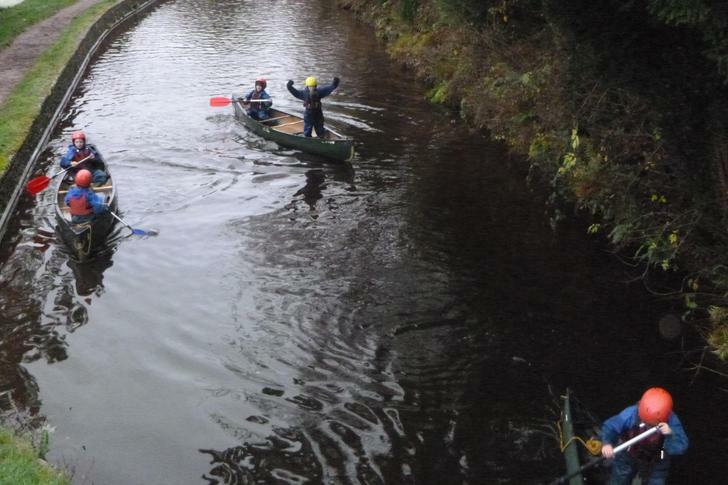 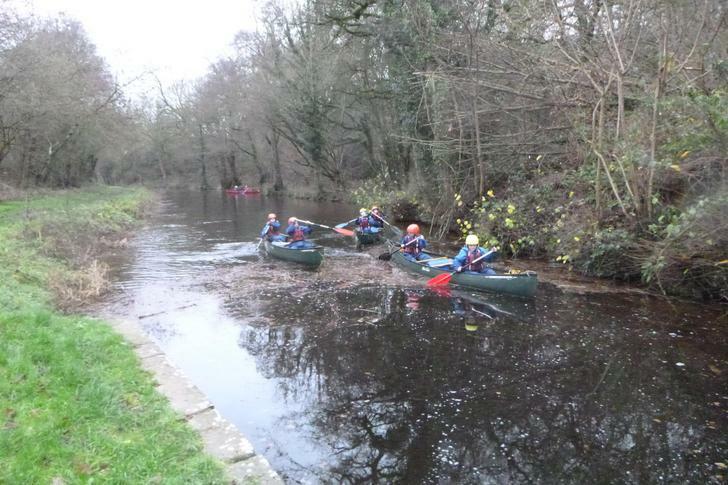 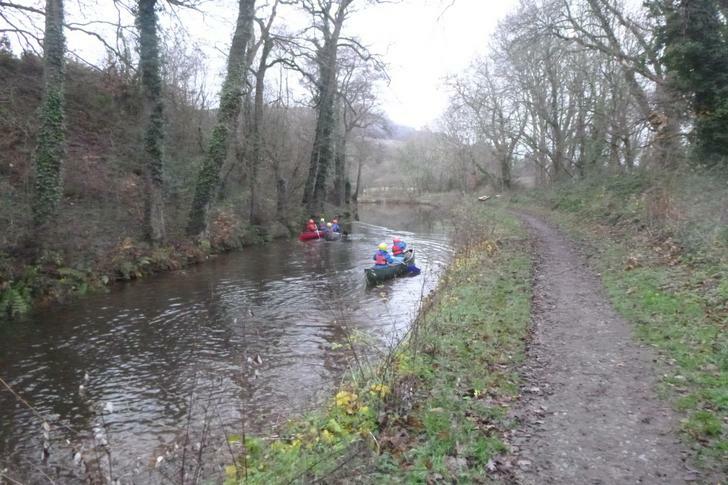 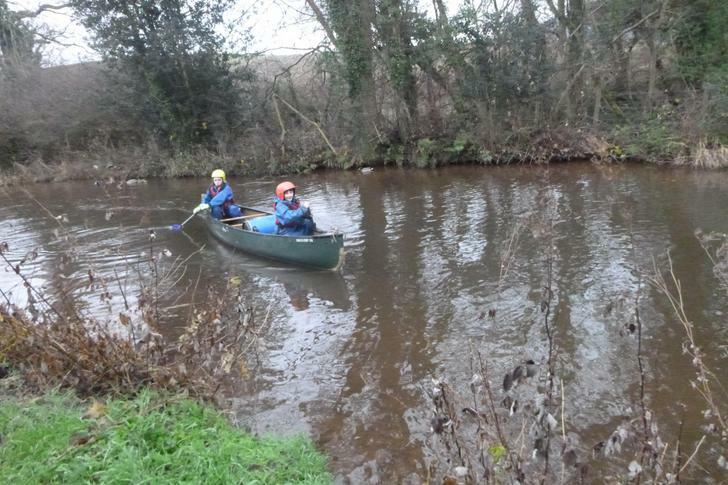 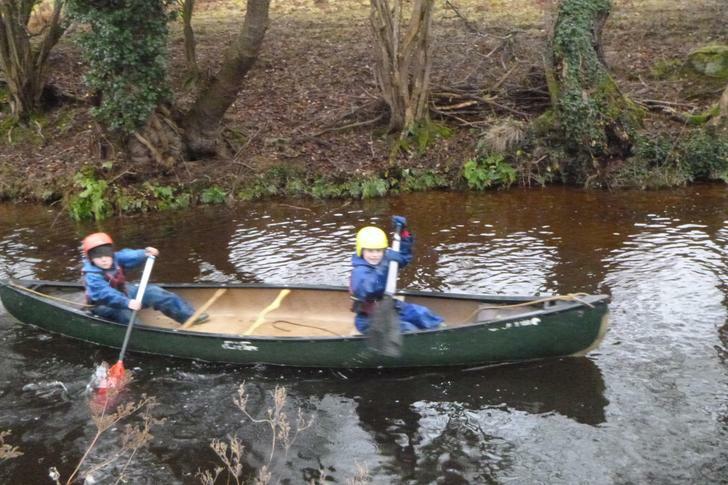 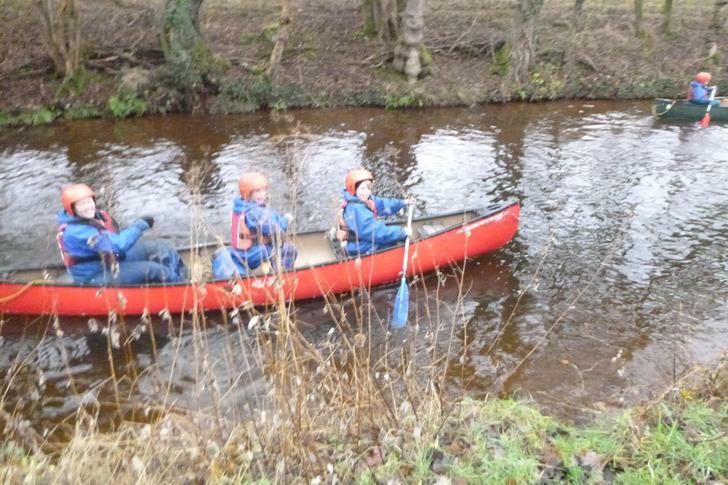 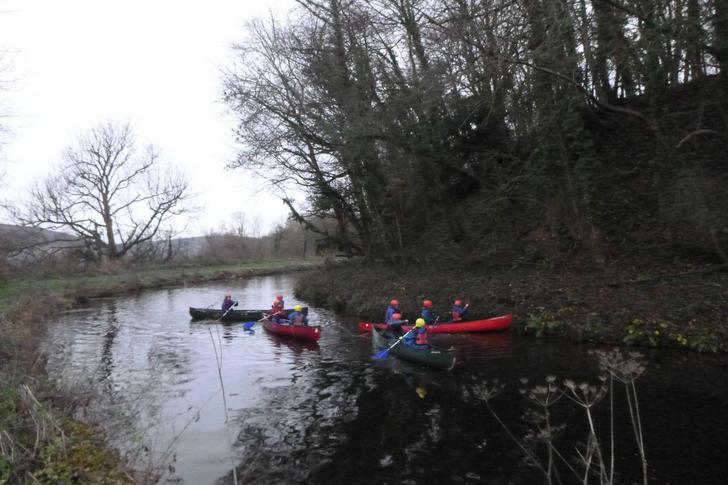 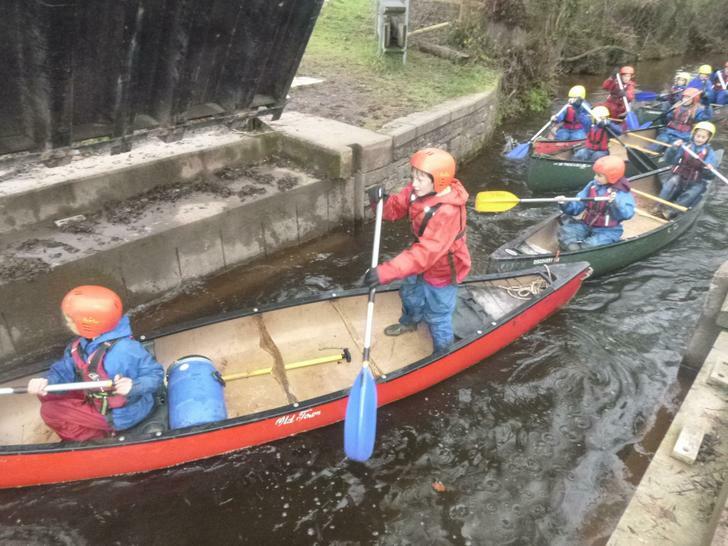 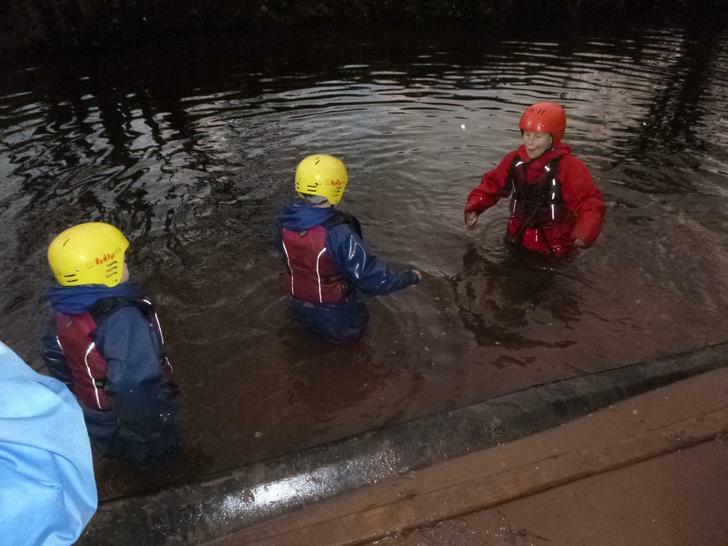 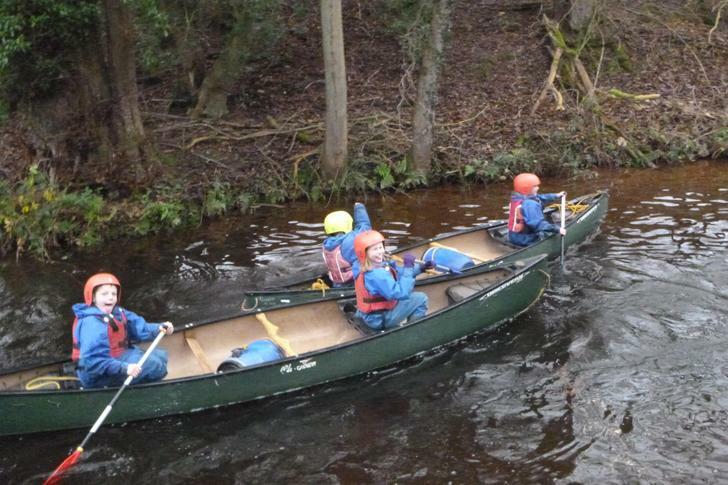 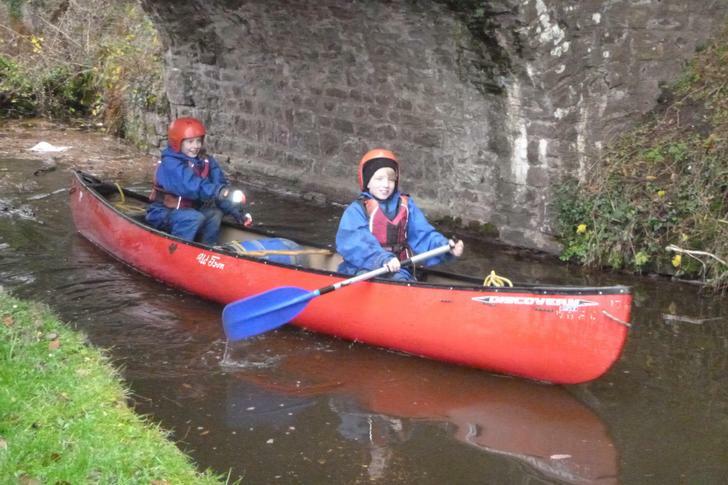 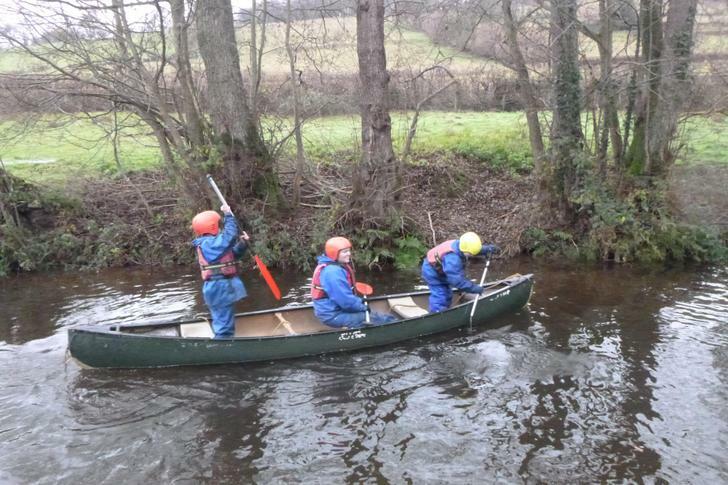 DAY 3: Group 1 canoeing down the canal and even getting to have a little swim at the end!! 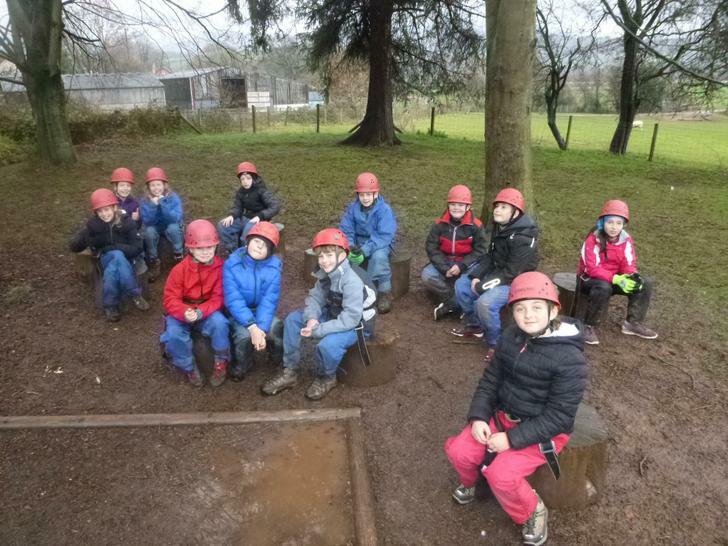 After a fairly good journey, we arrived safely at Woodlands. 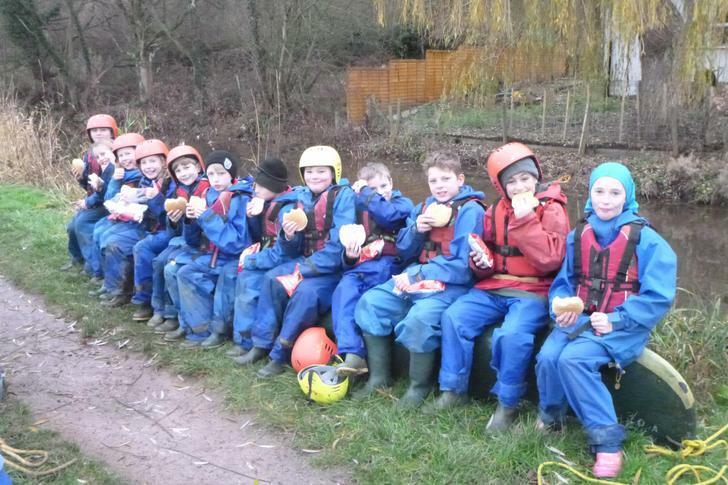 We settled ourselves into our rooms, made our beds,(with varying degrees of success) and then had a delicious lunch of baguette pizza and flapjack. 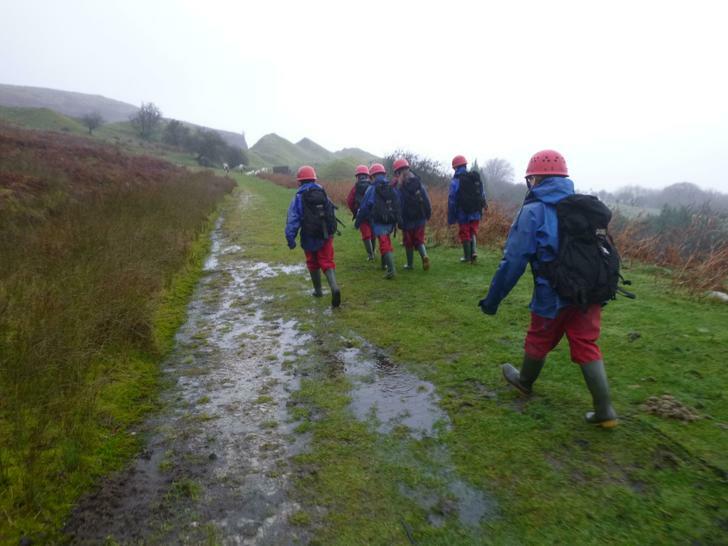 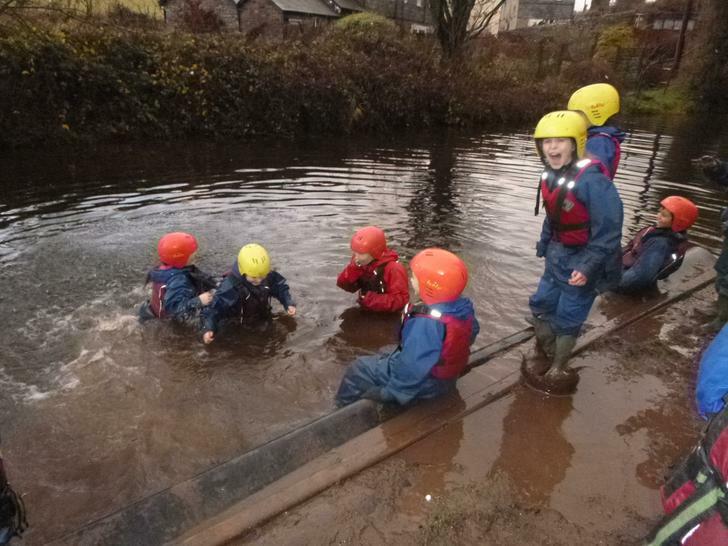 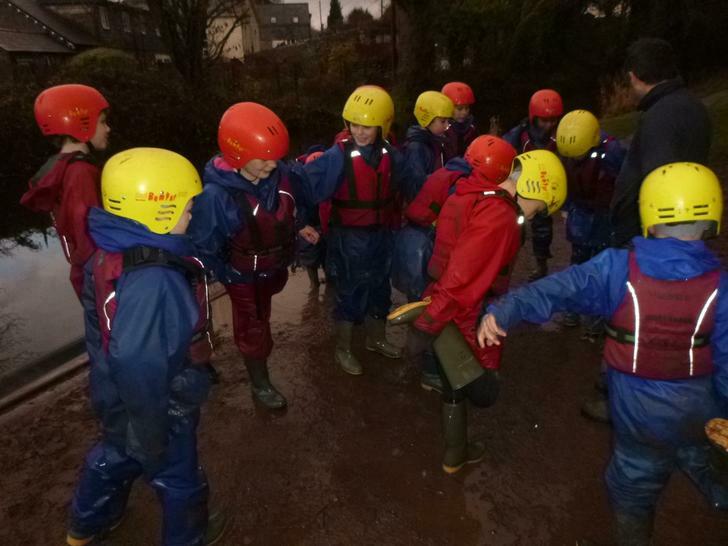 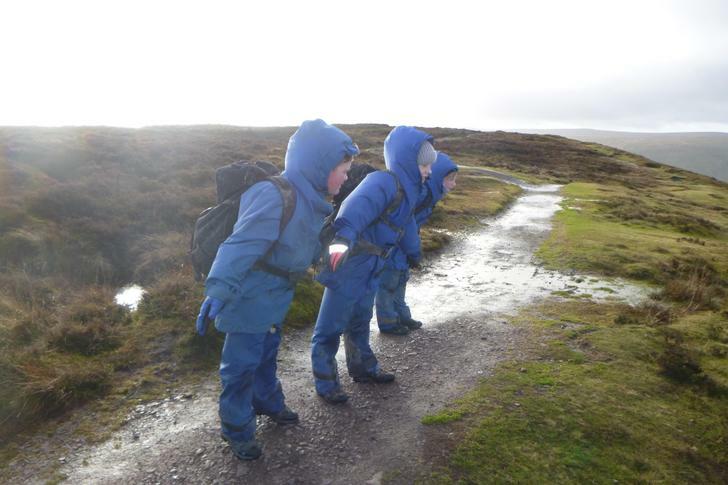 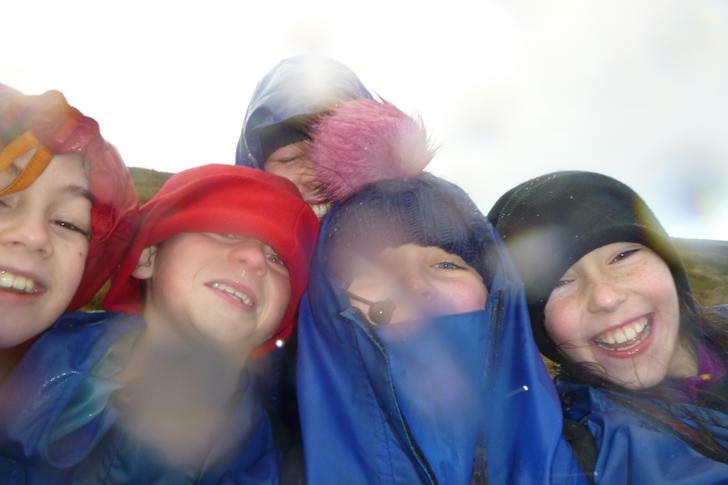 We then were allocated our wet weather gear and walking boots before finding out about our responsibilities during the week. 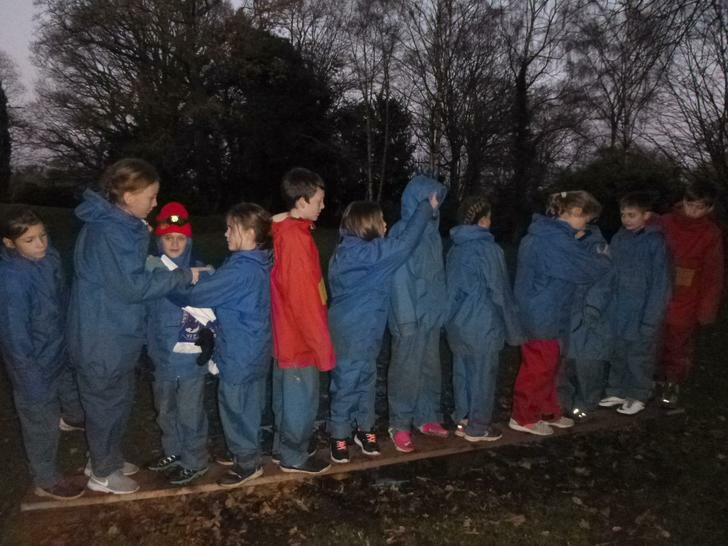 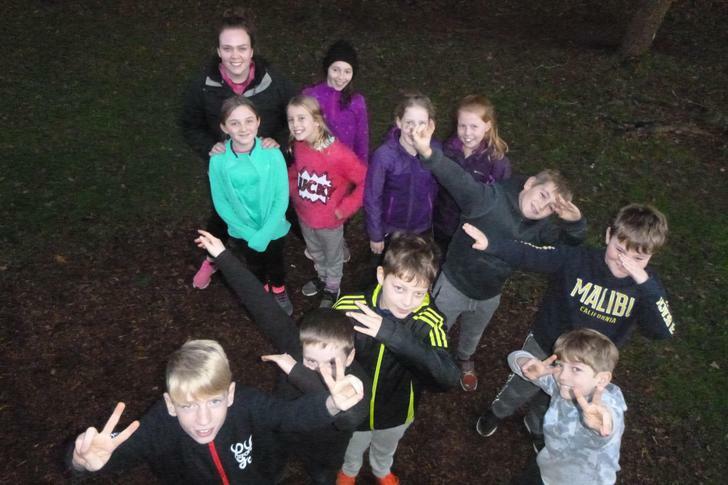 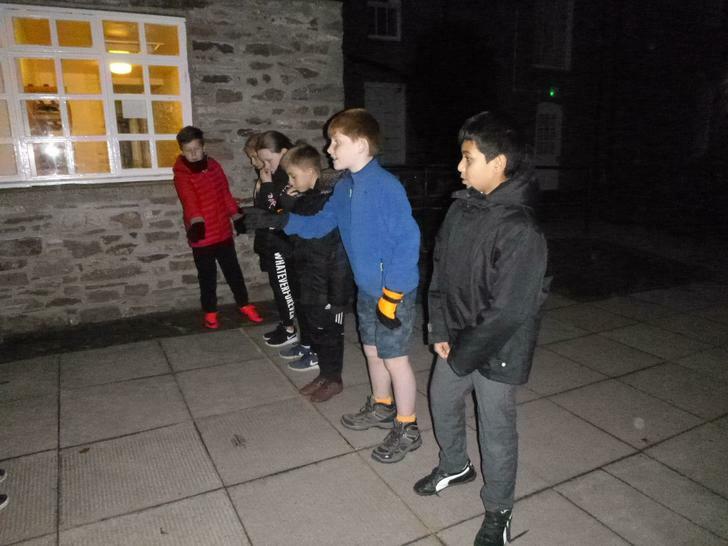 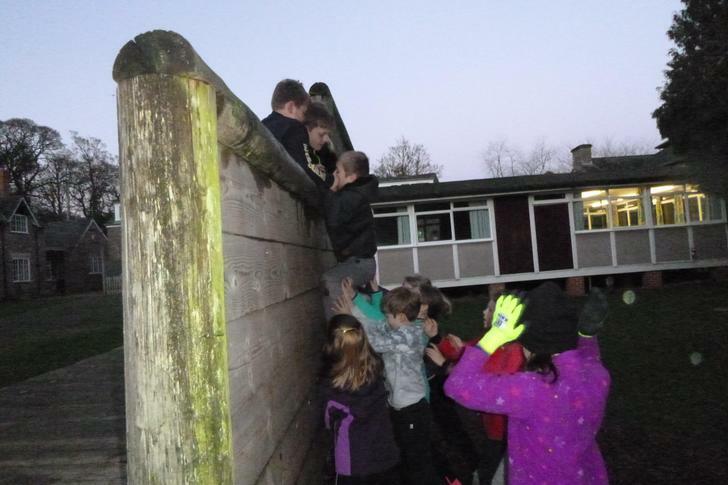 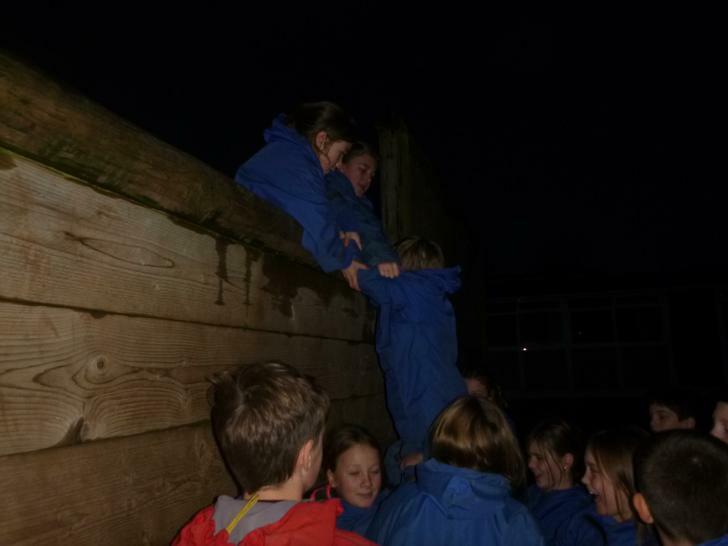 We then made our way outside, wrapped up nice and warm, to tackle some problem solving activities in our activities groups. 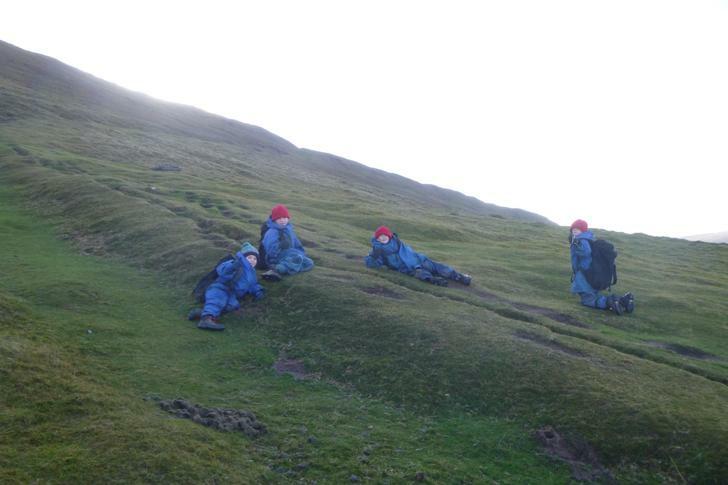 At 5.30pm we headed into the dining room for a dinner of fish and chips followed by jelly and fruit. 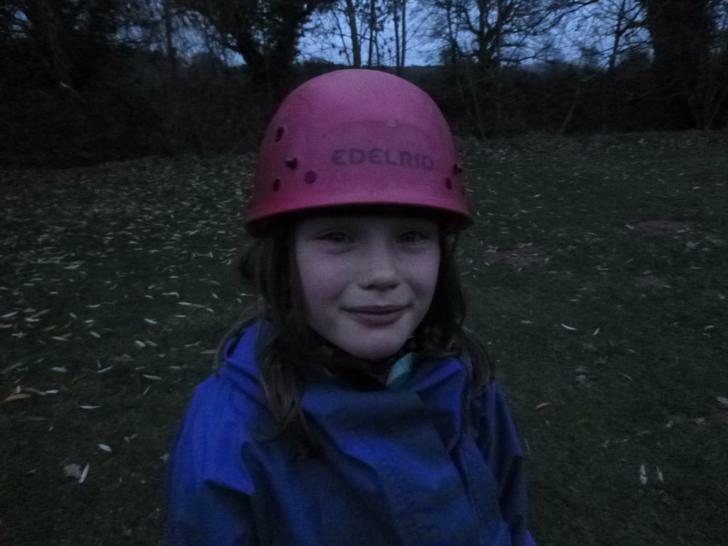 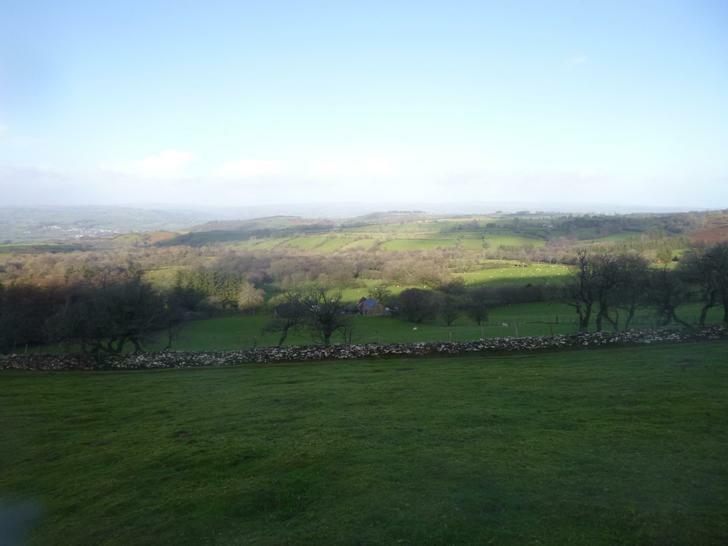 This evening we have been on a night walk to the top of a hill to star gaze. 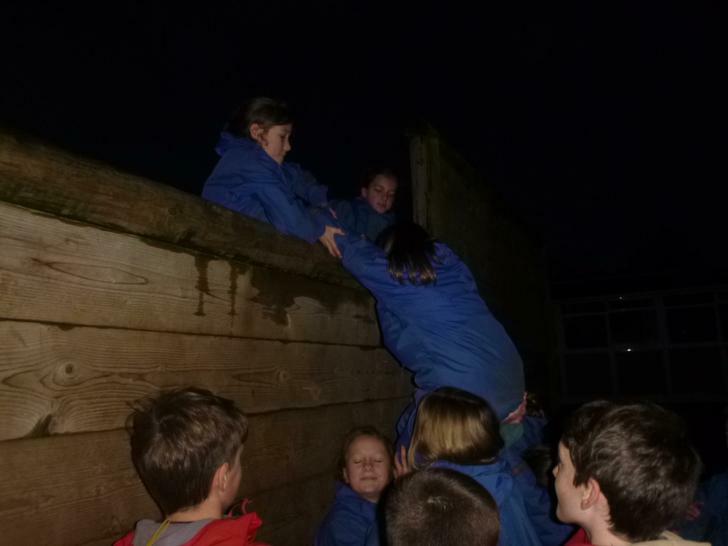 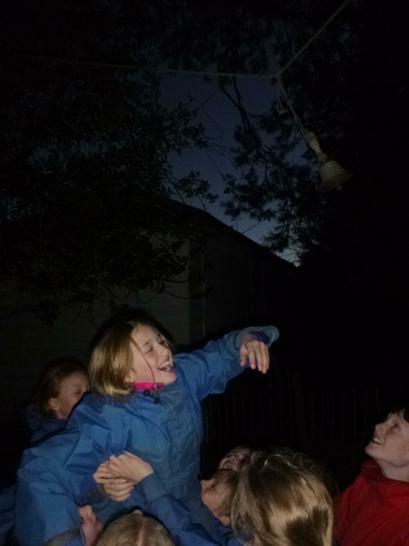 It was a beautiful clear evening, so we saw many constellations and enjoyed the silence whilst lying on the grass looking up at the stars. 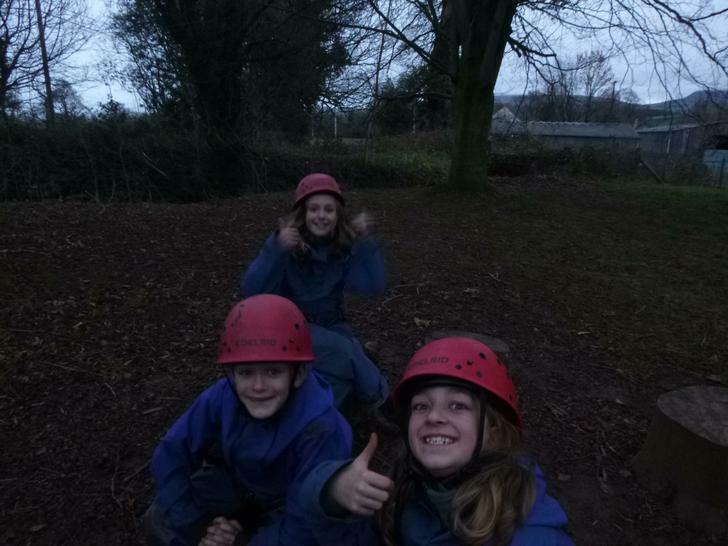 We have had hot chocolate in our PJ's before bedtime and now we are all tucked up in bed!! 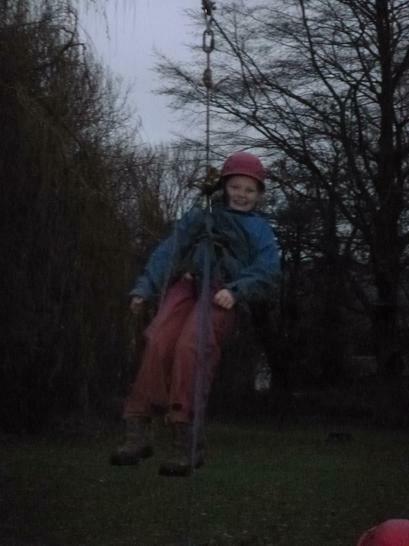 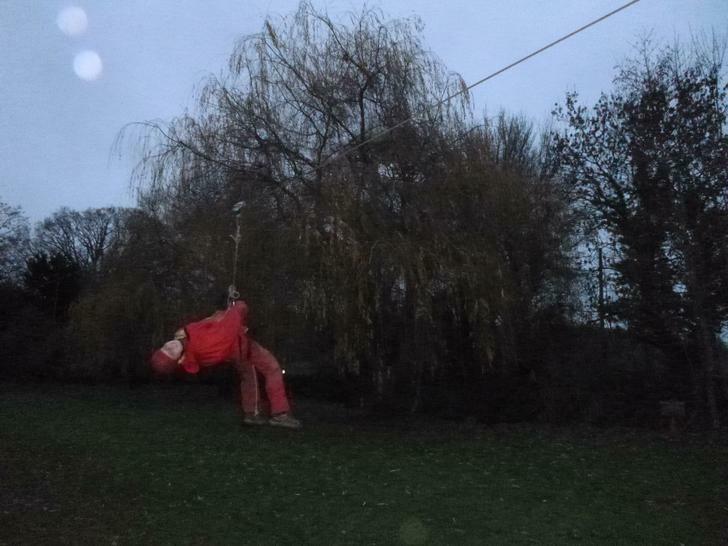 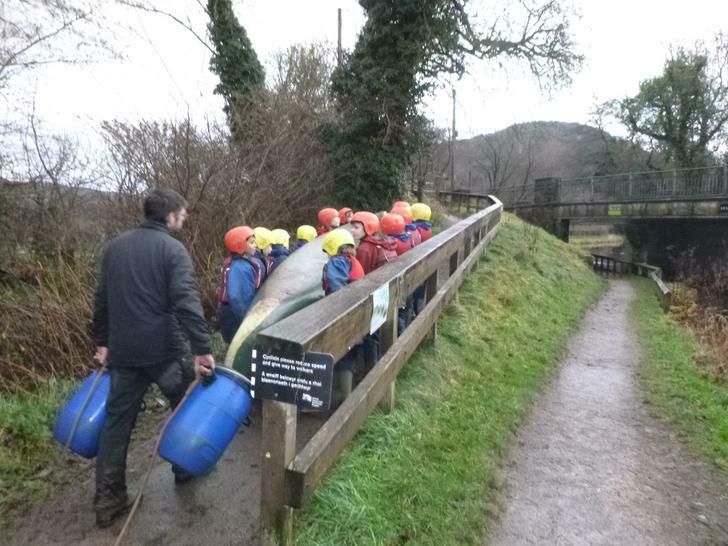 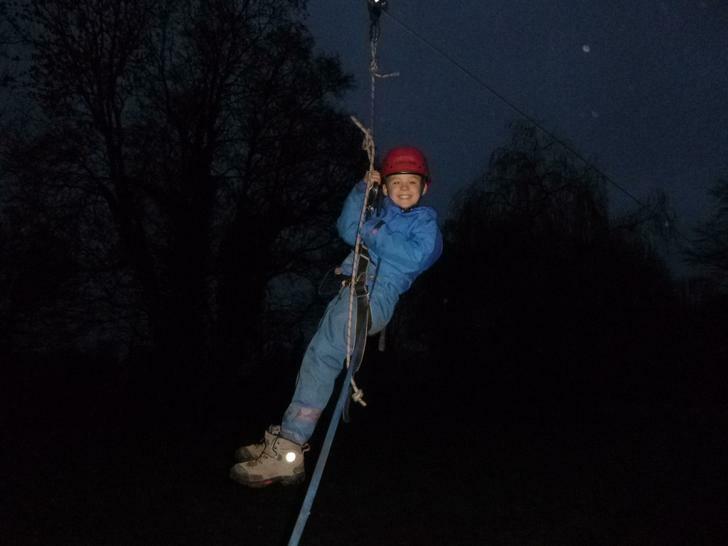 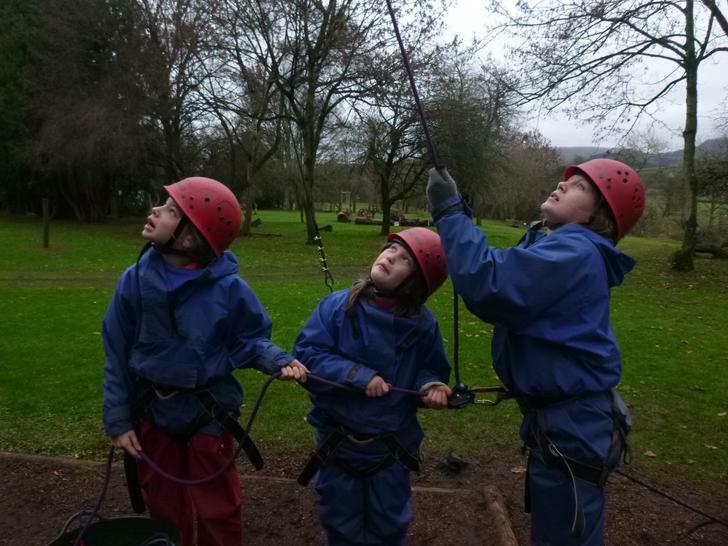 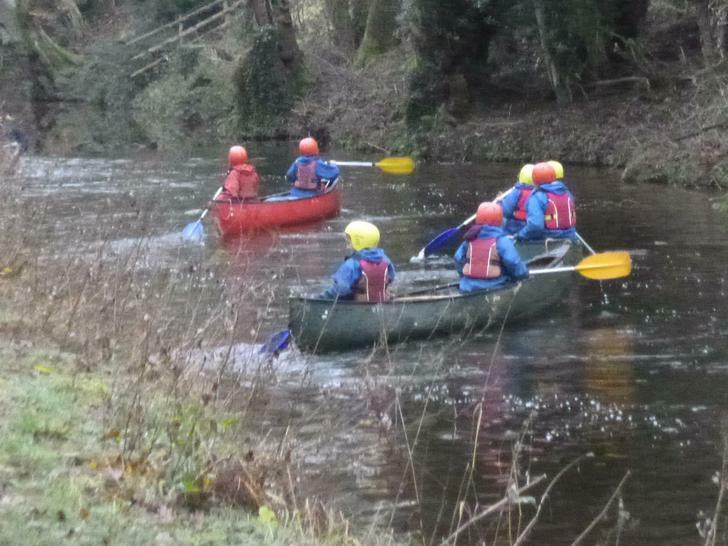 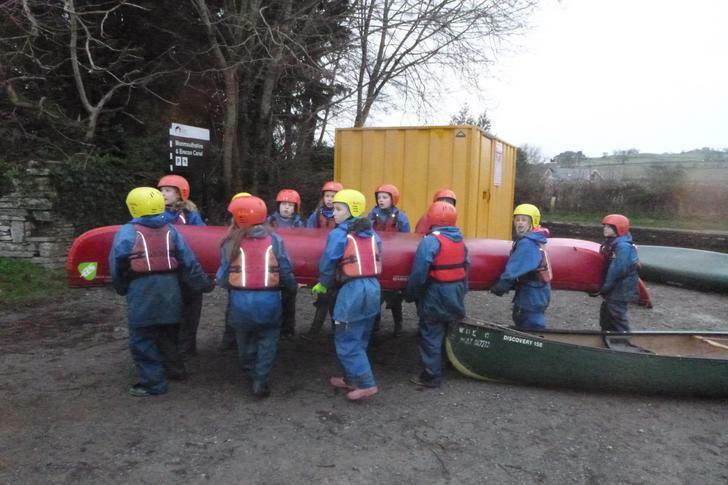 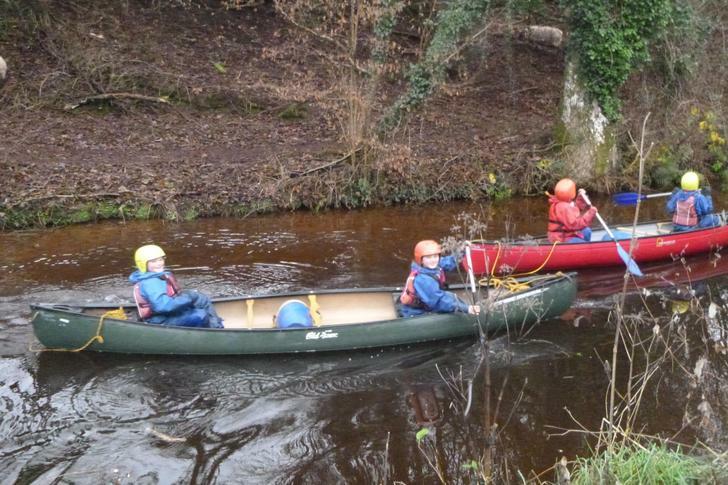 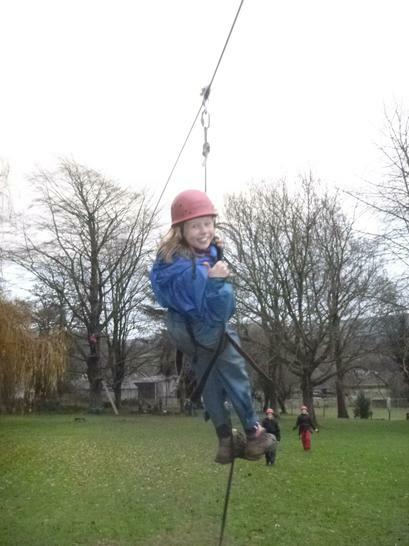 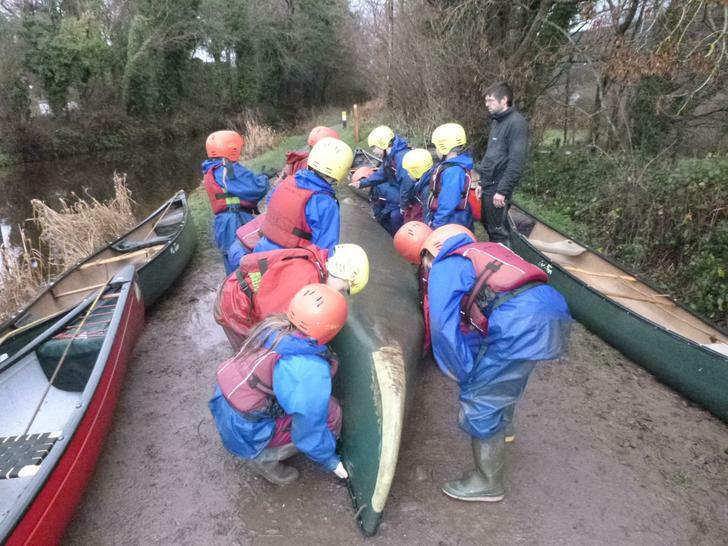 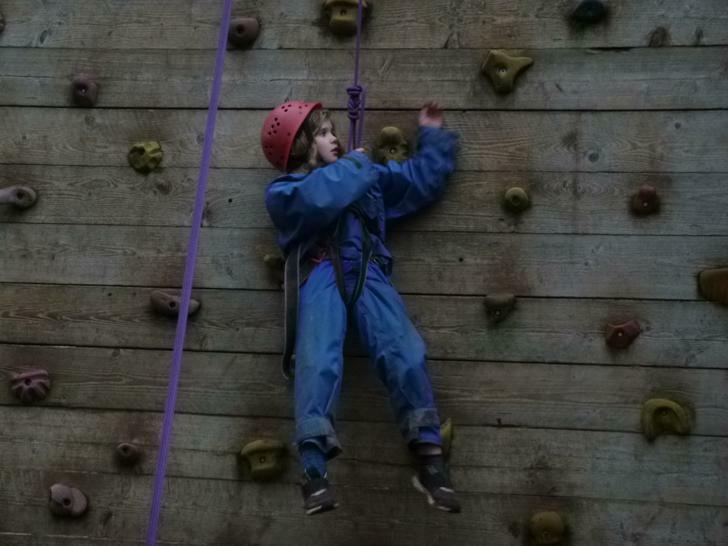 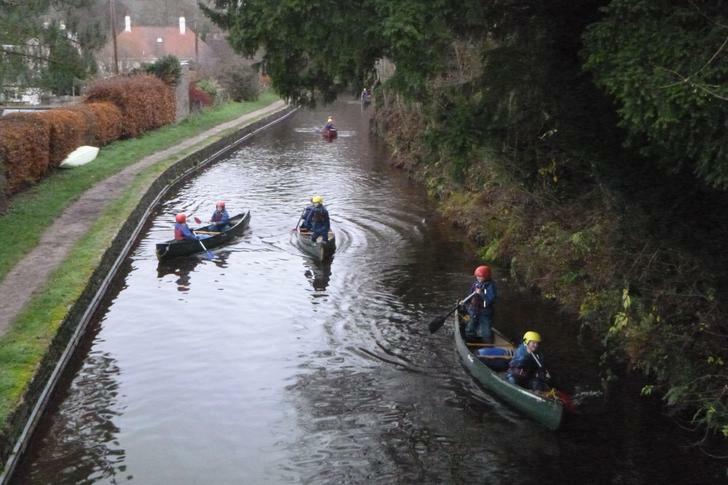 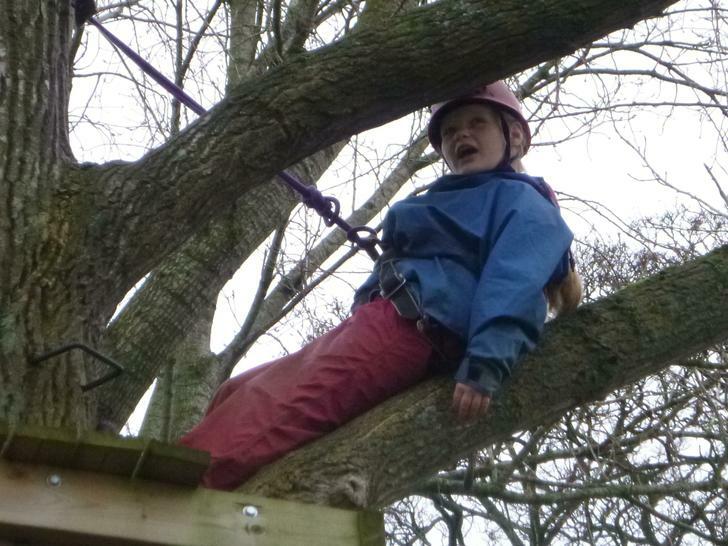 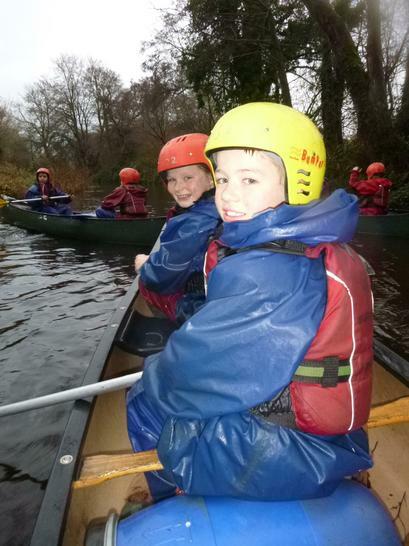 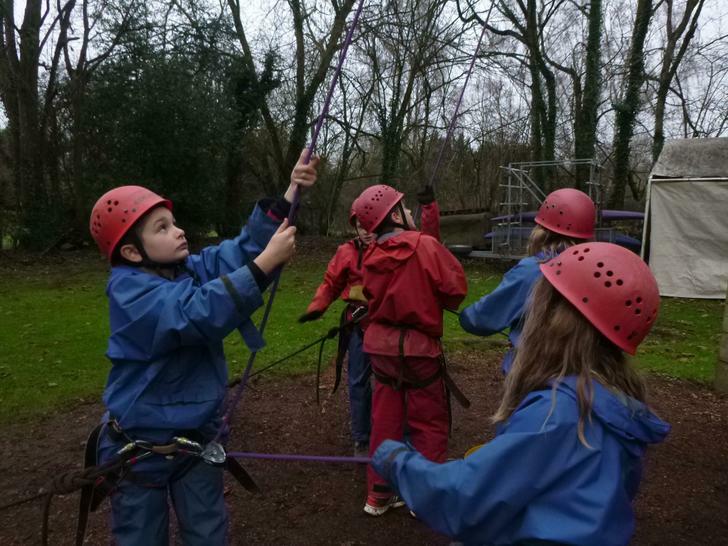 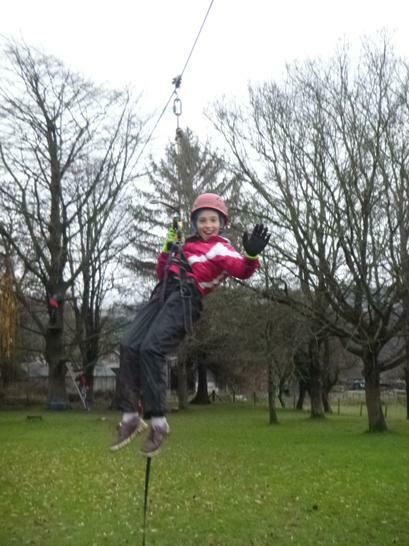 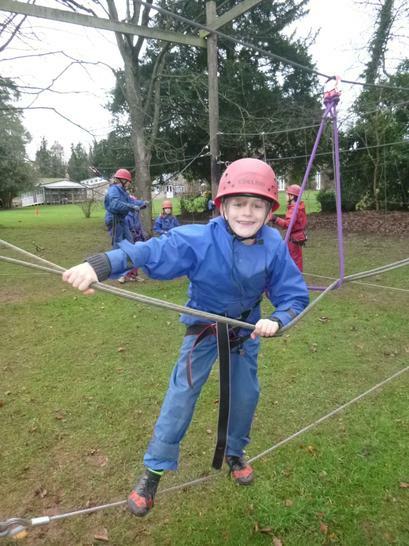 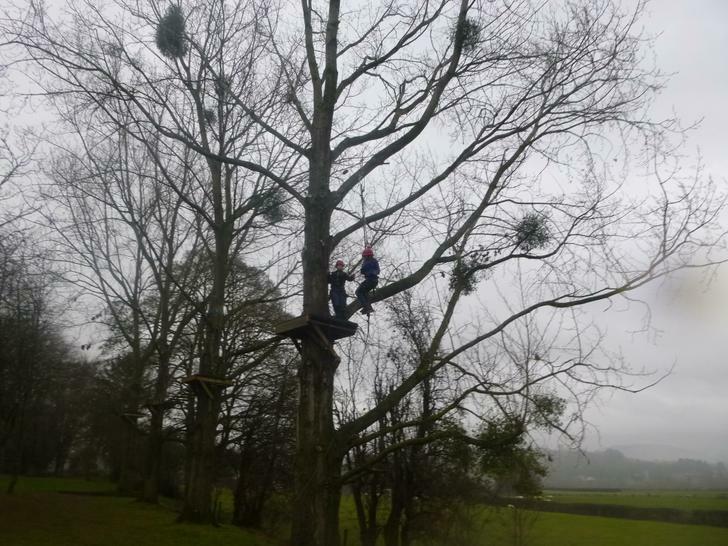 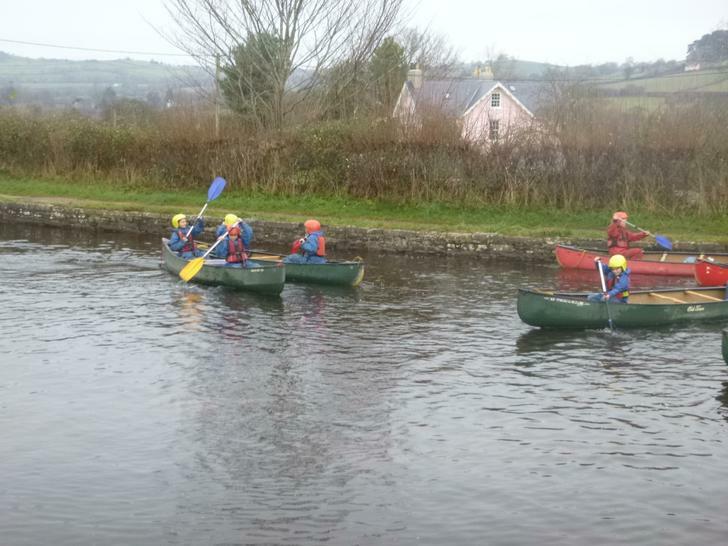 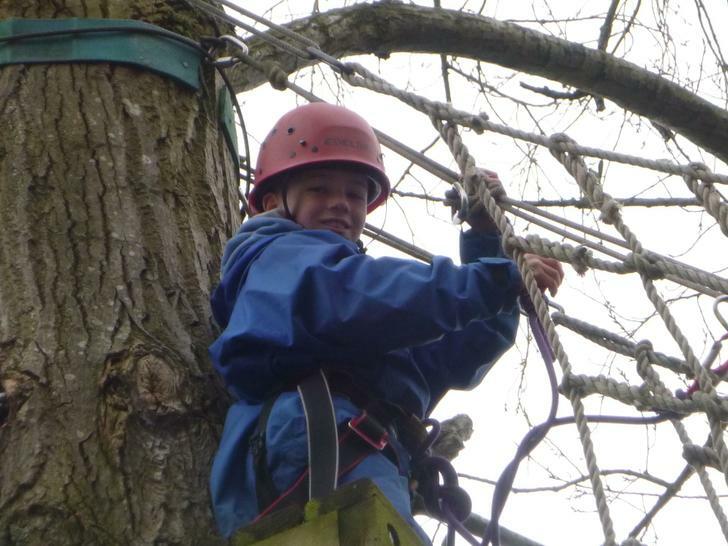 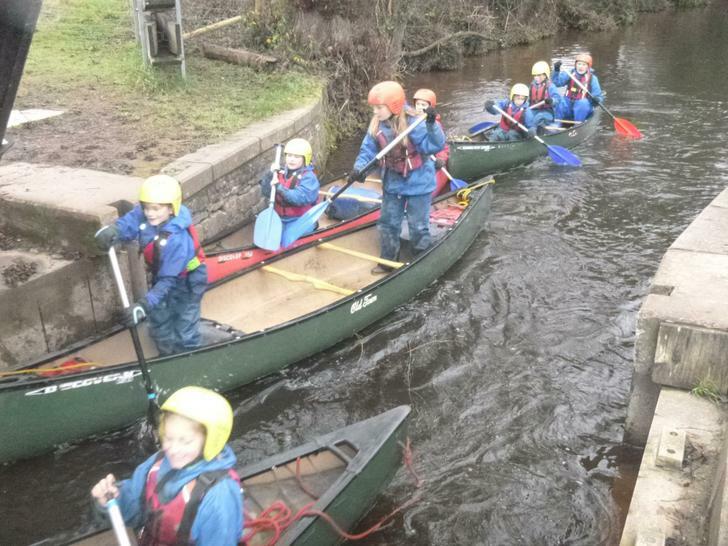 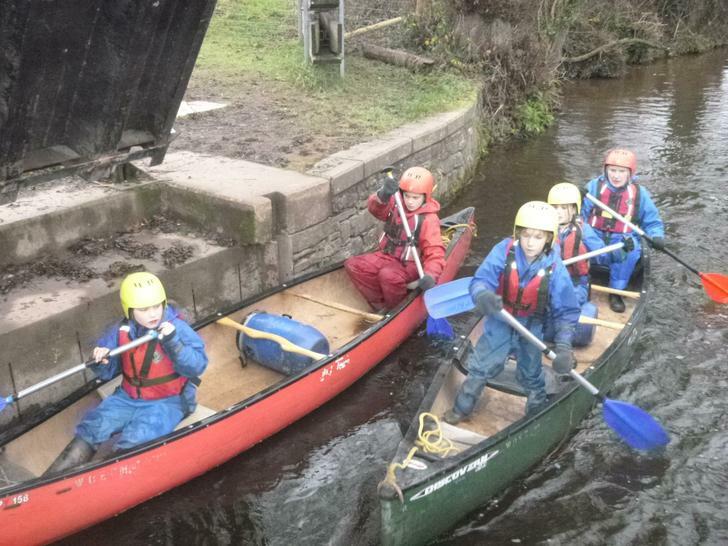 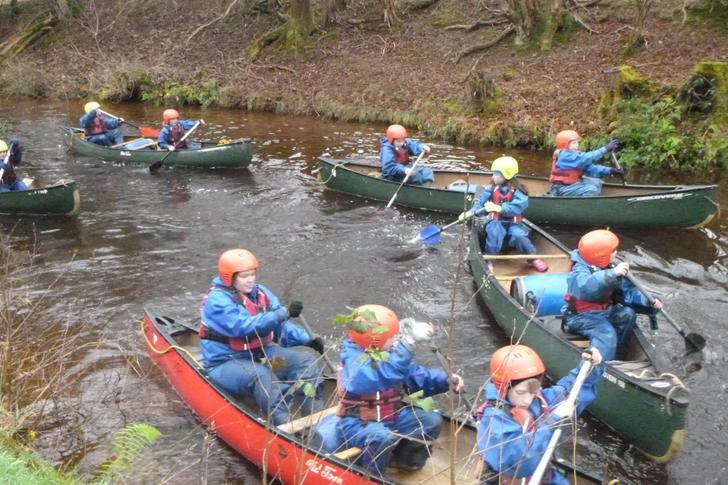 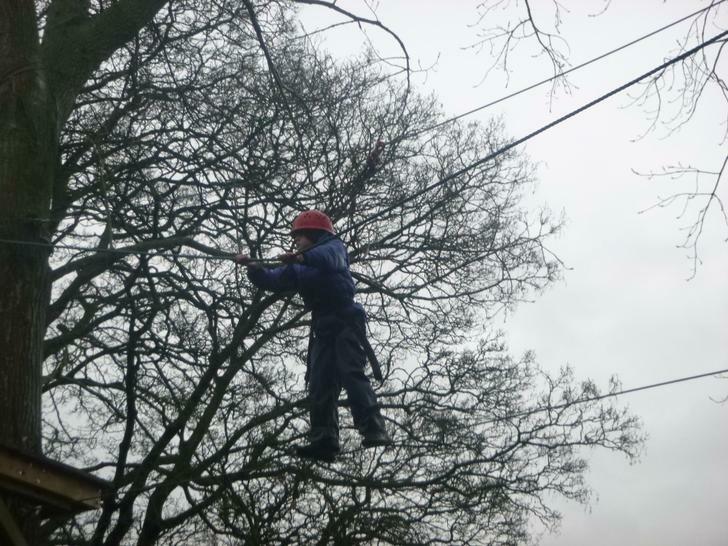 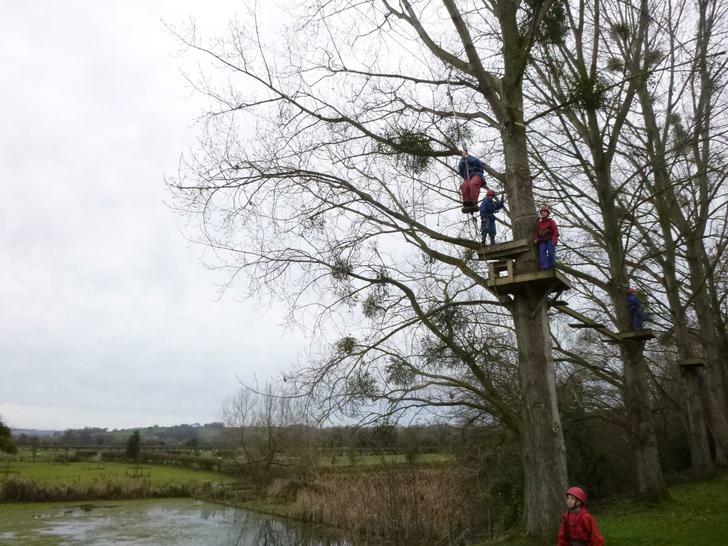 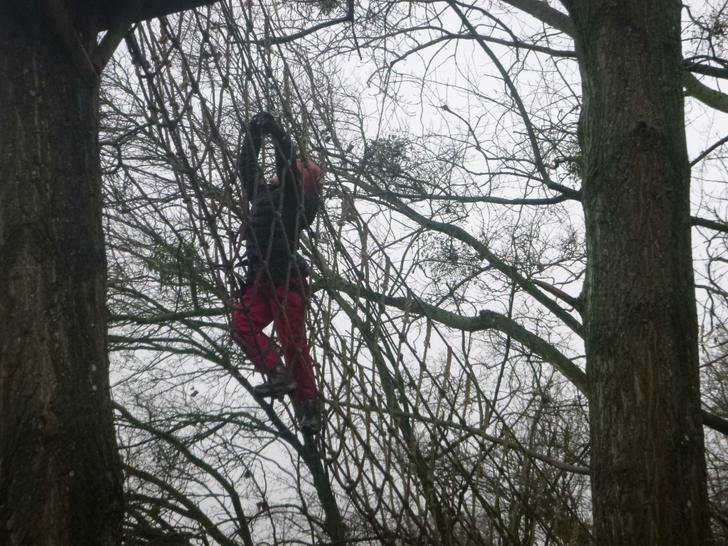 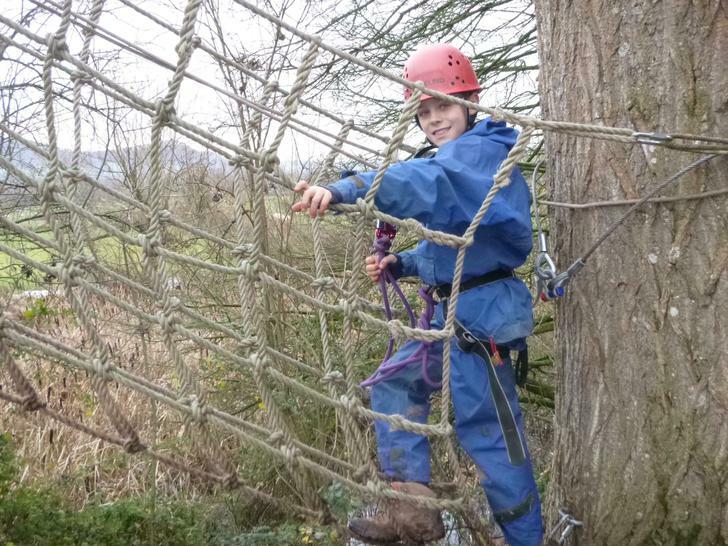 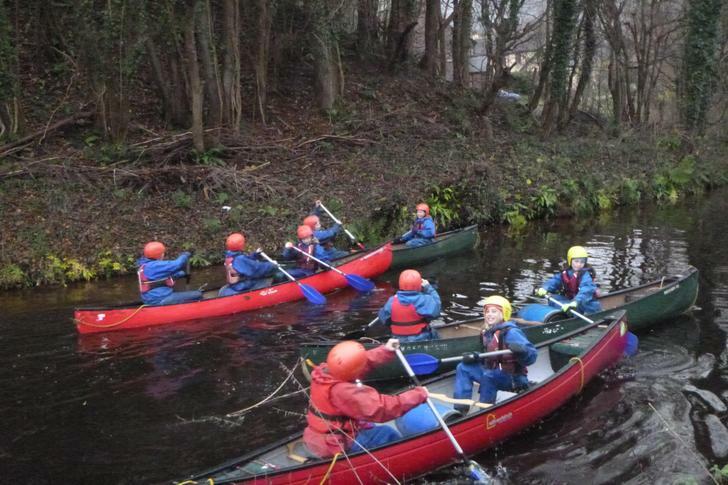 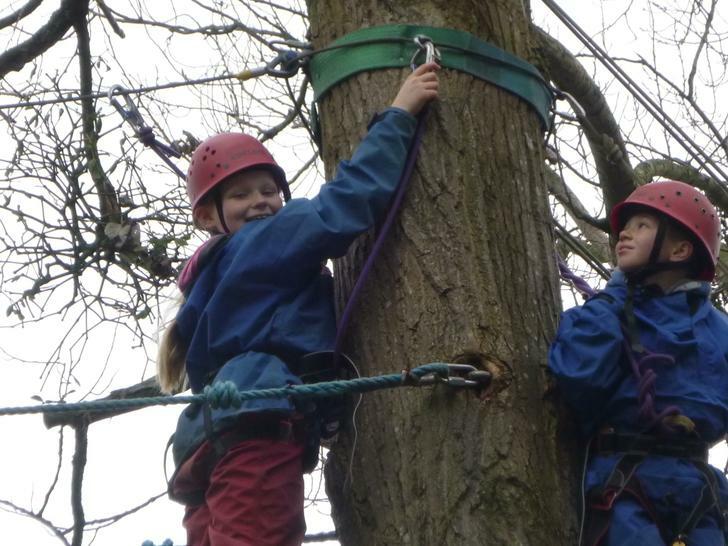 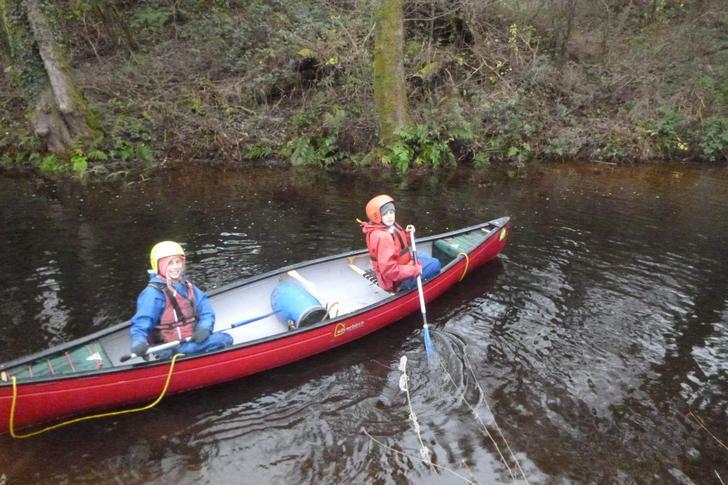 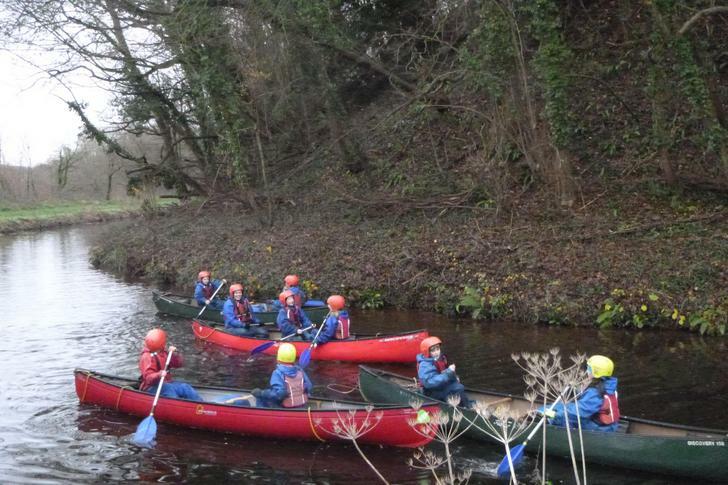 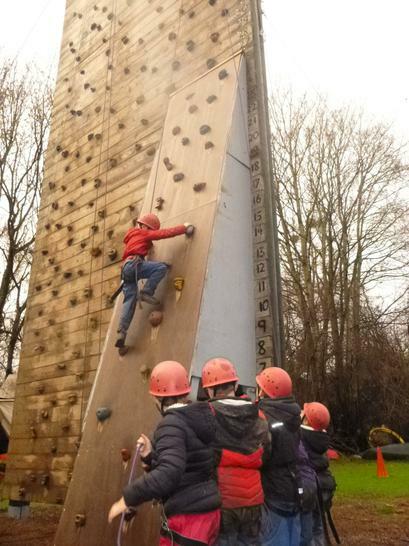 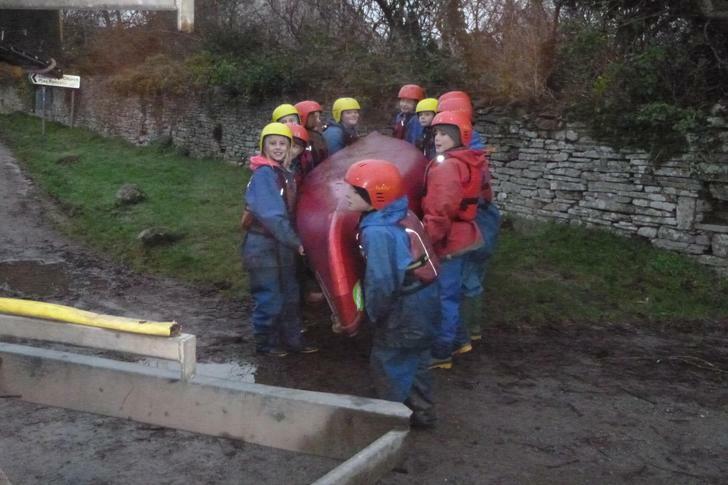 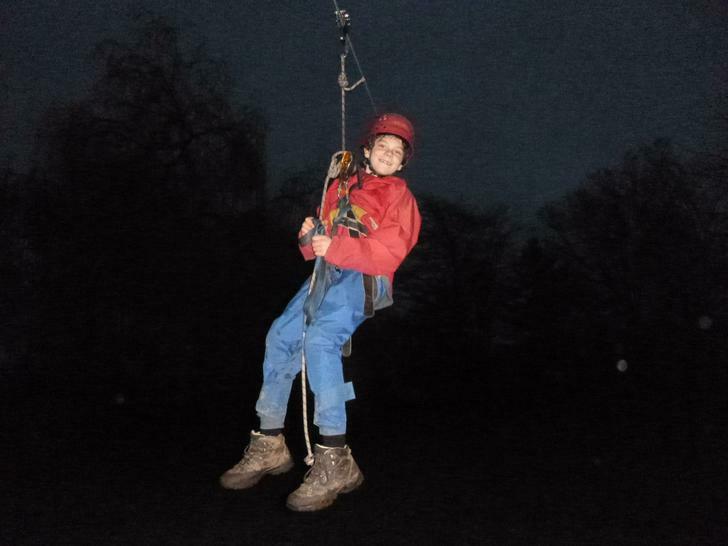 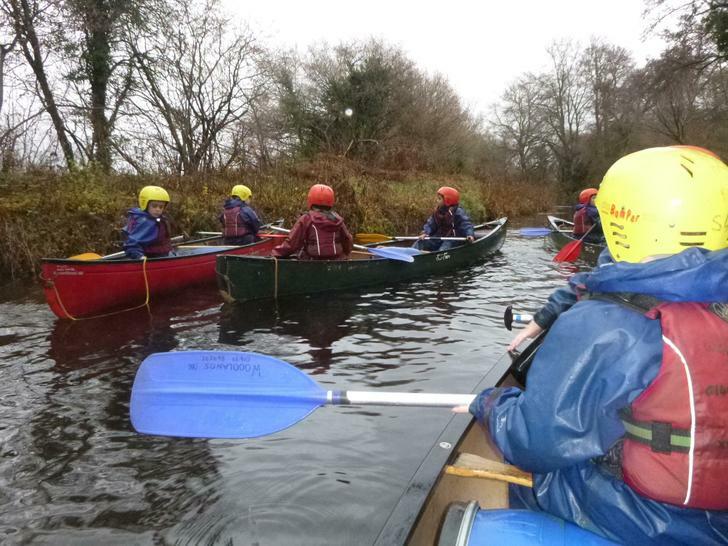 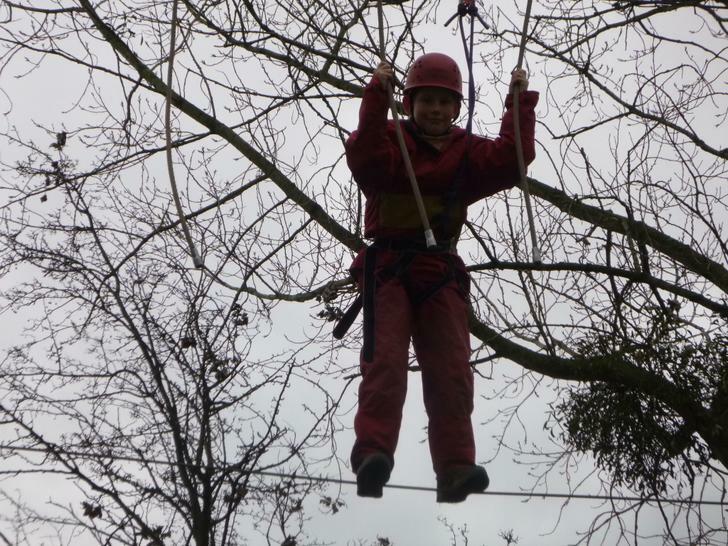 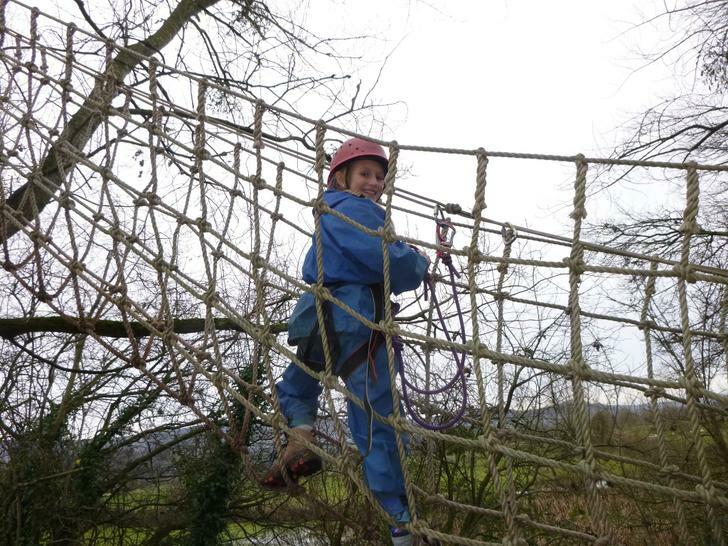 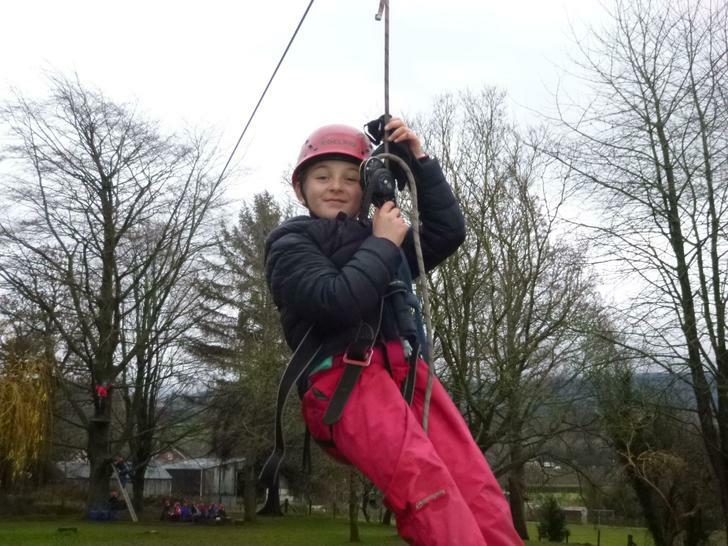 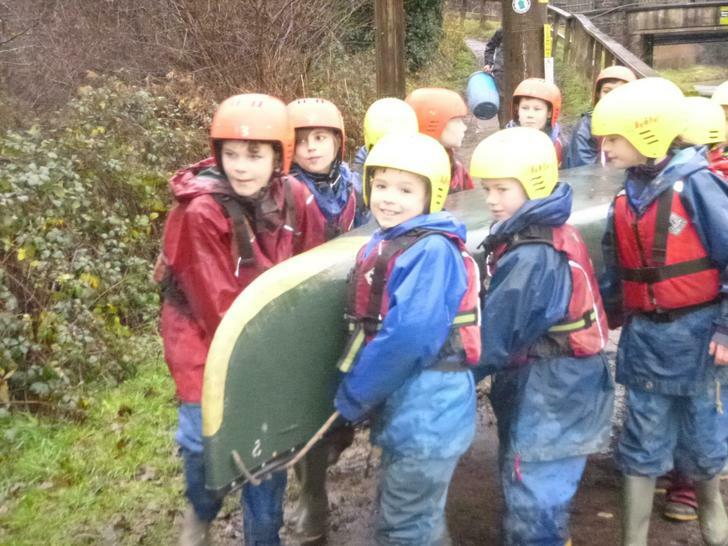 We are looking forward to an exciting day tomorrow;some of us are climbing and doing the high ropes and zip wire whilst others canoe on the canal.